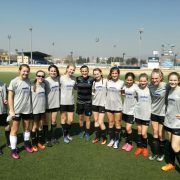 TakeBall and AMsportstours have returned to work, hand by hand, in order to repeat the dream of the Redlands United FC. 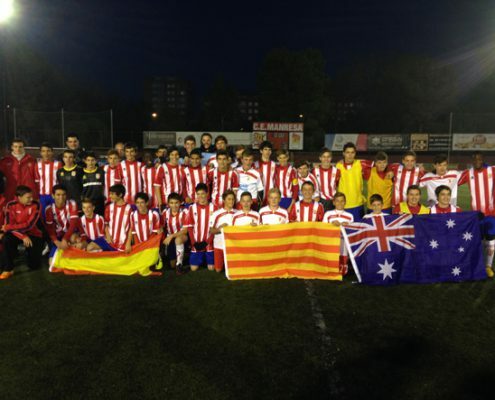 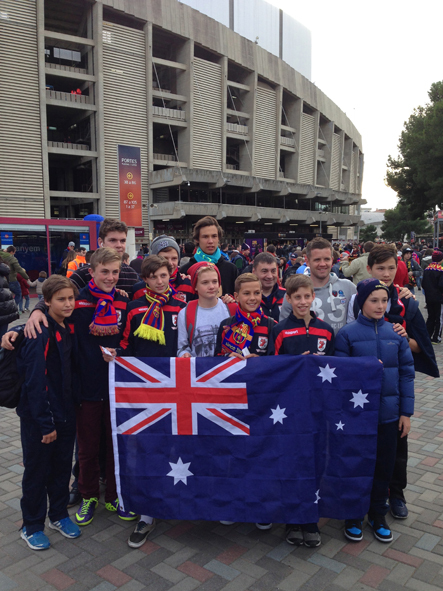 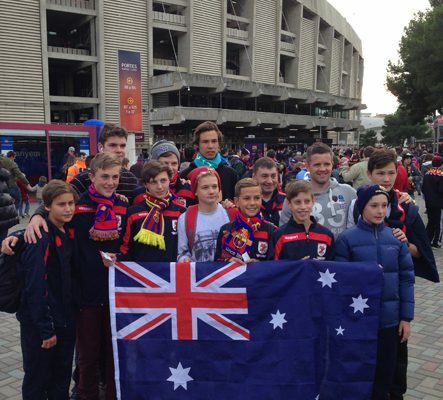 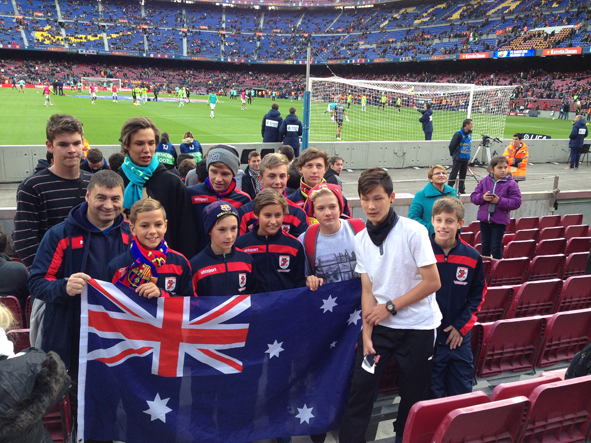 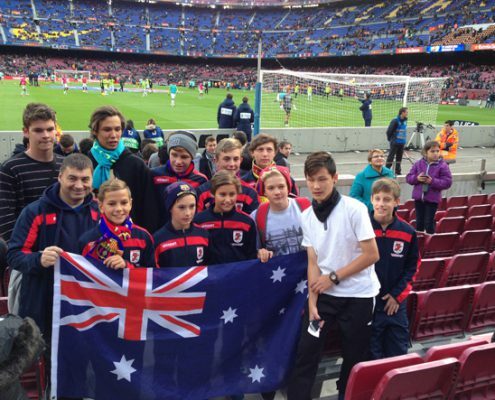 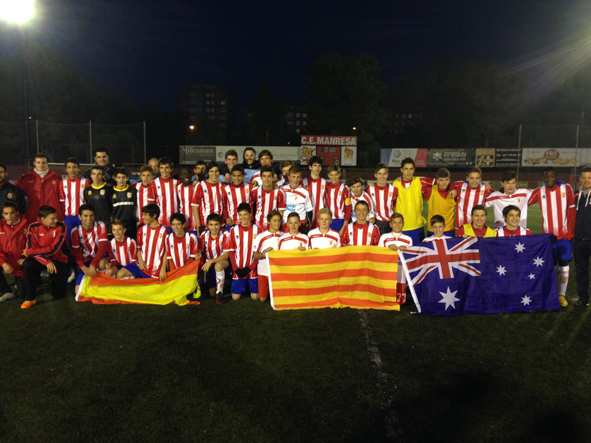 The Australian expedition enjoyed again, just like in the 2011, of some unforgettable days in the city of Barcelona with much football, tourism and all kind of experiences. 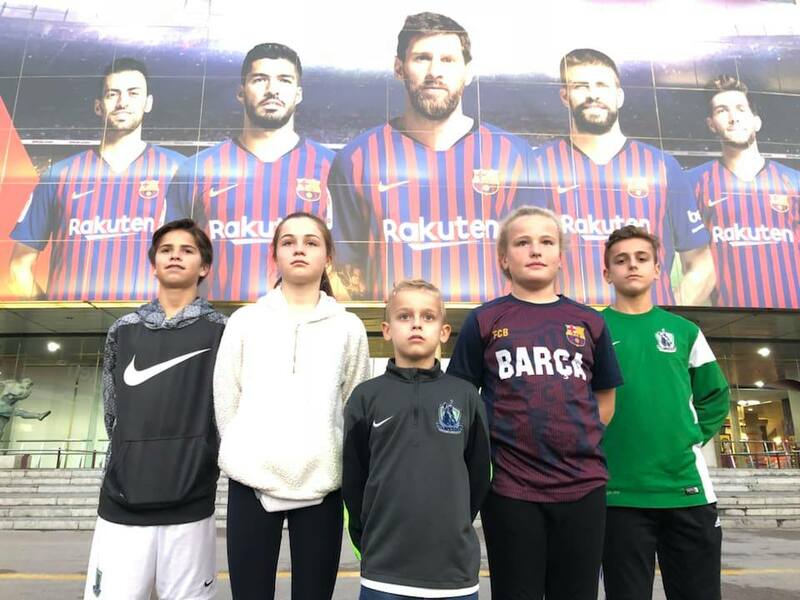 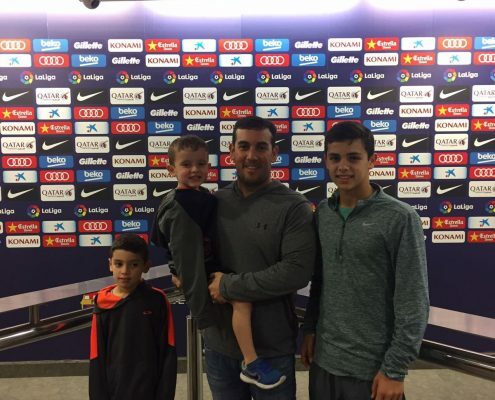 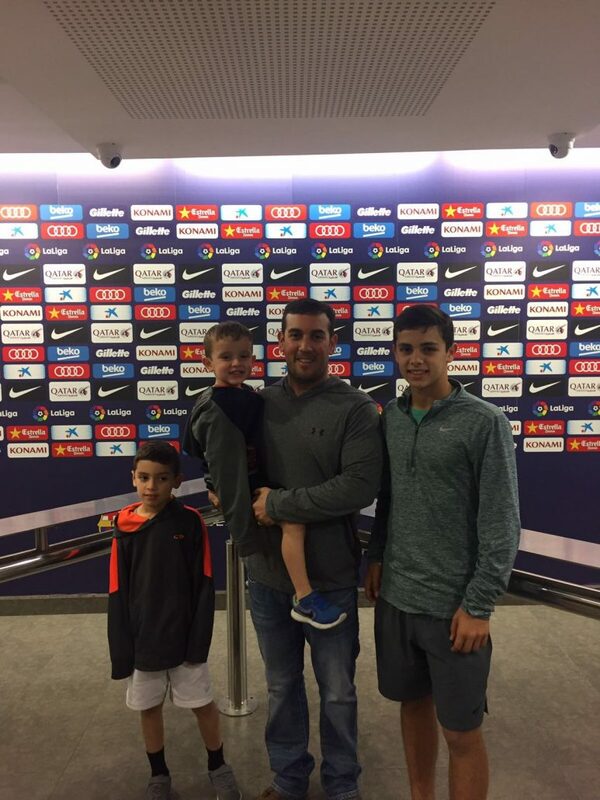 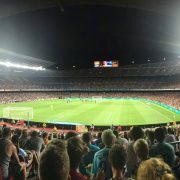 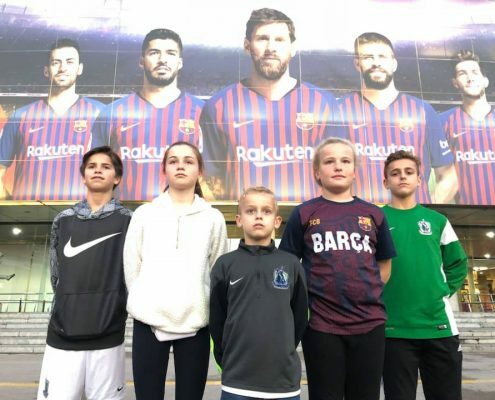 Parents and players could open mouth during their stay in the city of Barcelona, attending for the weekend at Camp Nou at a splendid demonstration of the best team in the world, FC Barcelona, which scored 4-0 to Granada in a match corresponding to day 14 of the Spanish First Division. 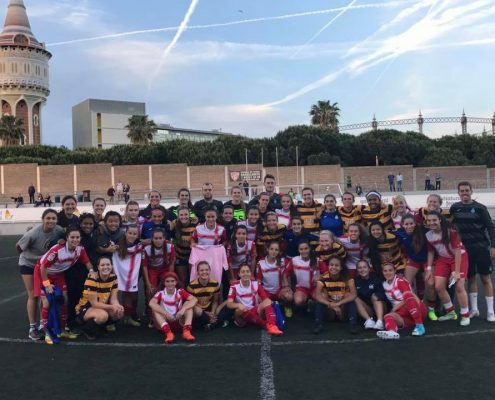 The Australian team joined the action later, jumping to Manresa lawn to confront local assembly in a match played tremendously and matched. 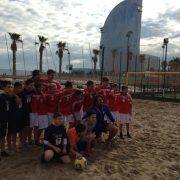 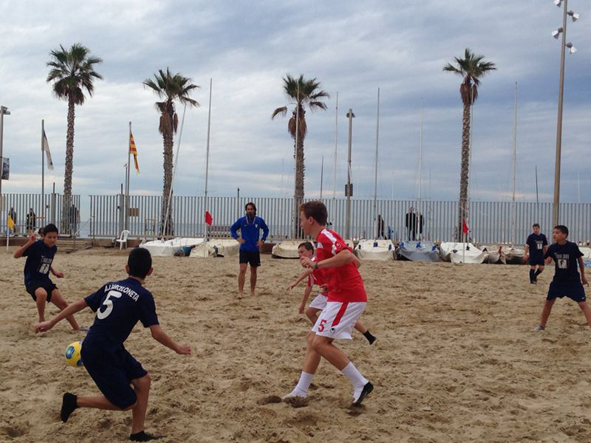 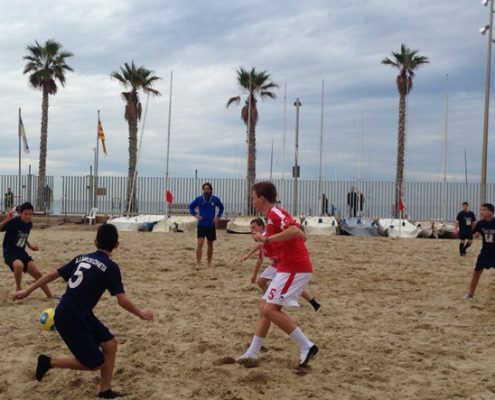 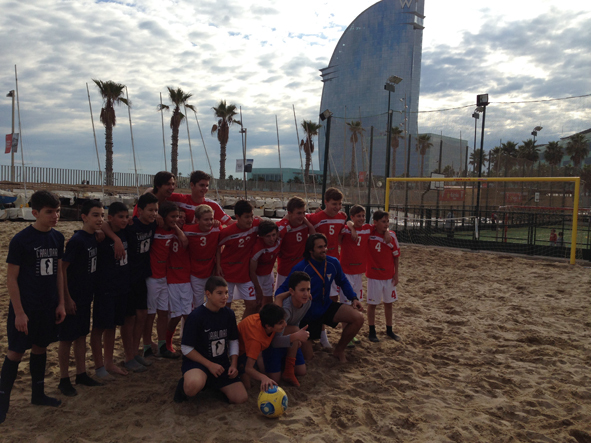 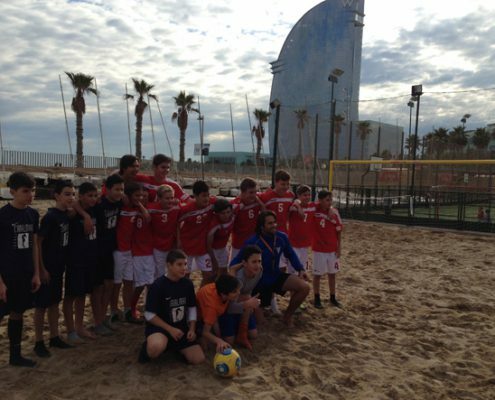 Redlands United FC had also the opportunity to play futsal, and as a new experience to enjoy football beach in front of Mediterranean Sea, in one of the most privileged areas in Barcelona, La Barceloneta. 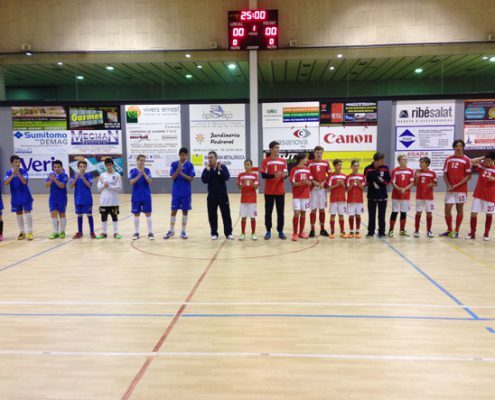 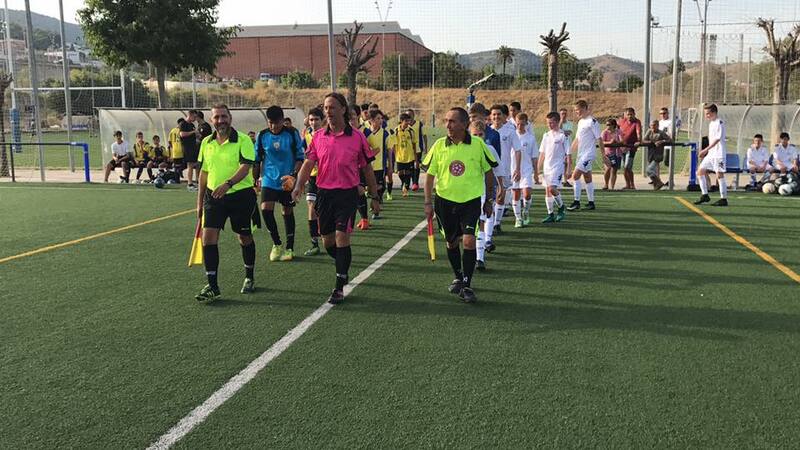 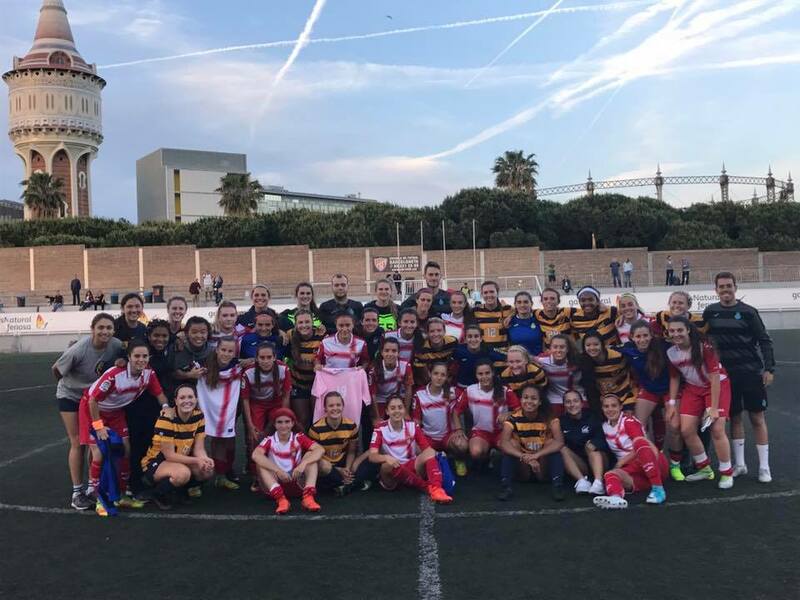 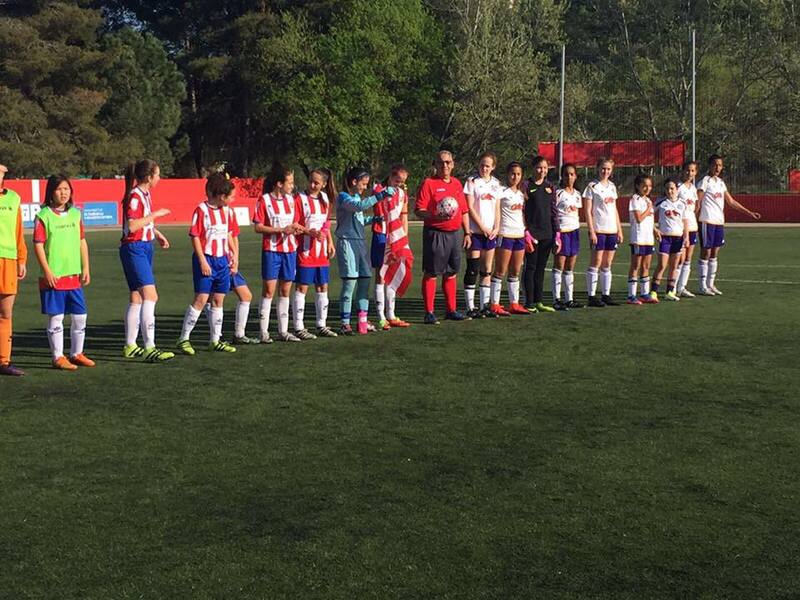 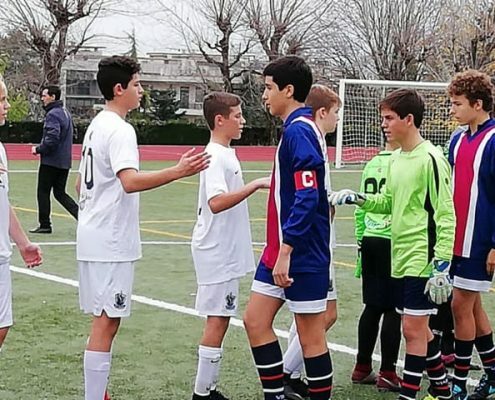 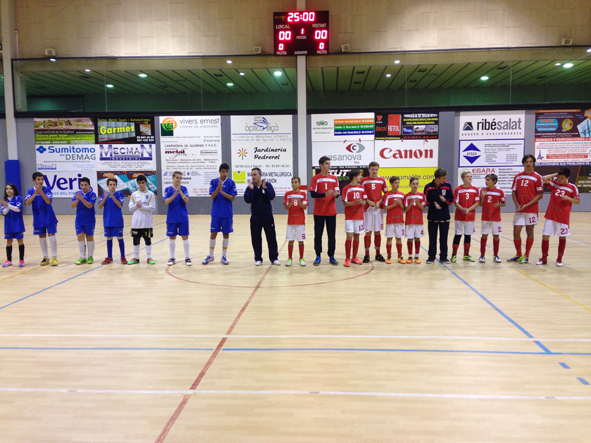 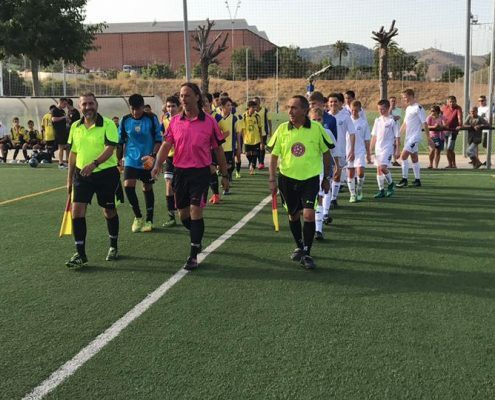 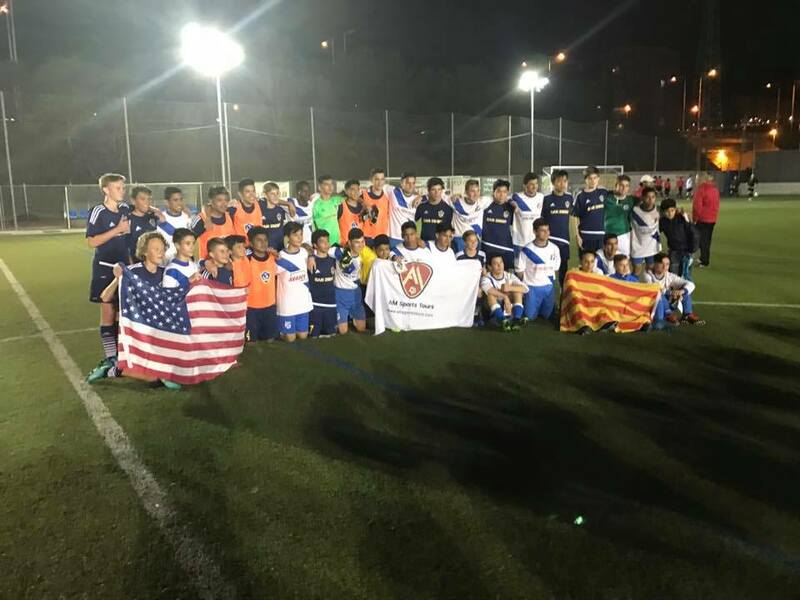 Club players’ parents were short to measure forces against the Manresa team in a football clash presided by a good atmosphere. 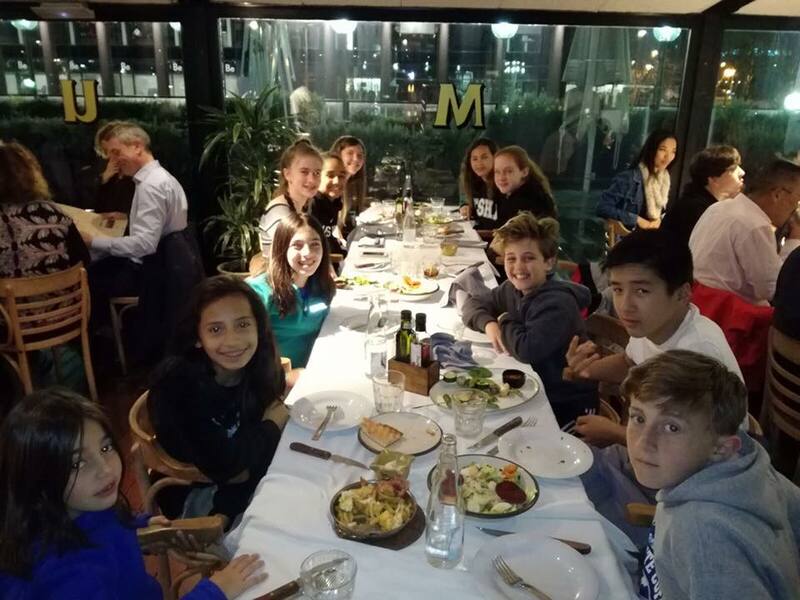 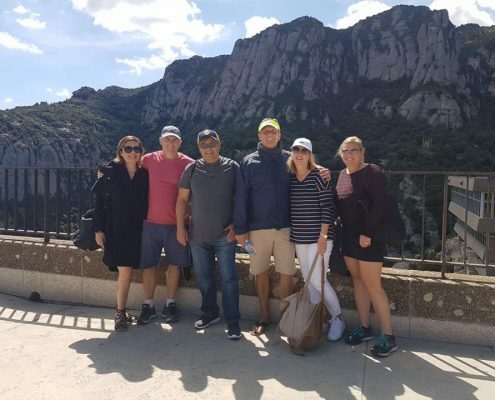 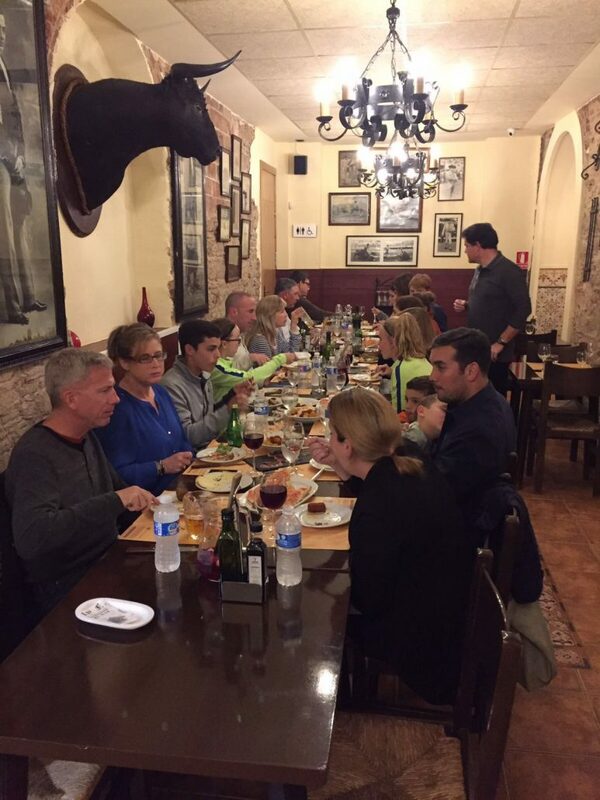 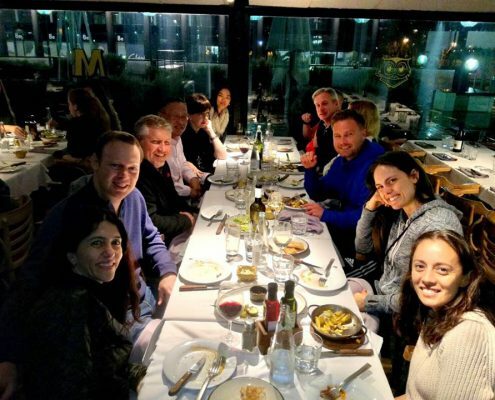 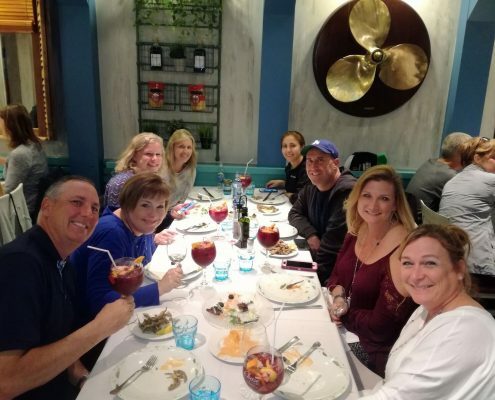 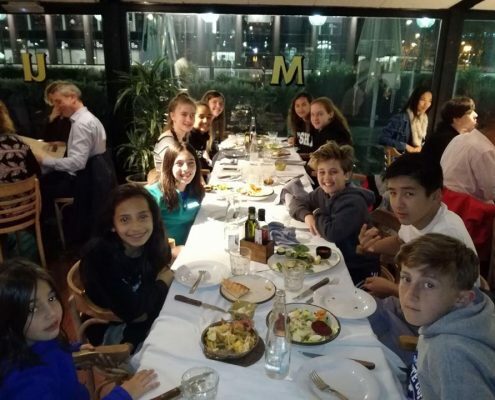 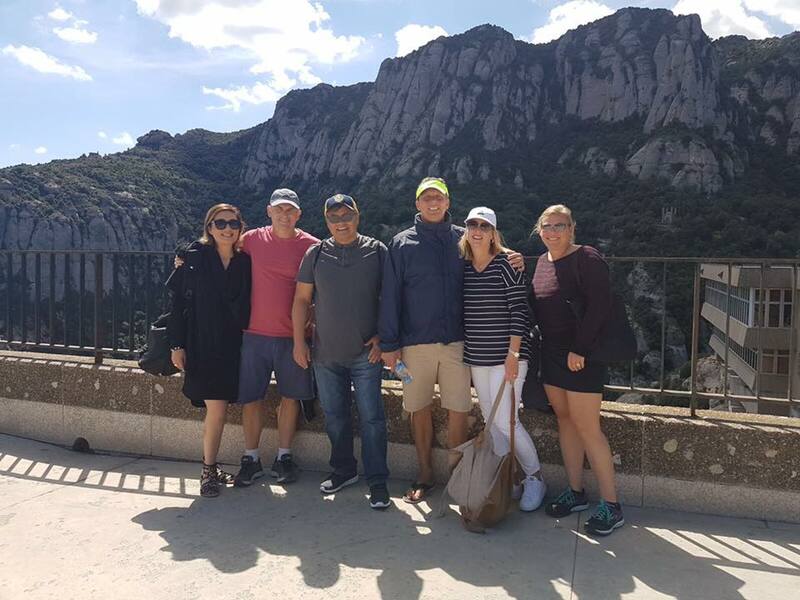 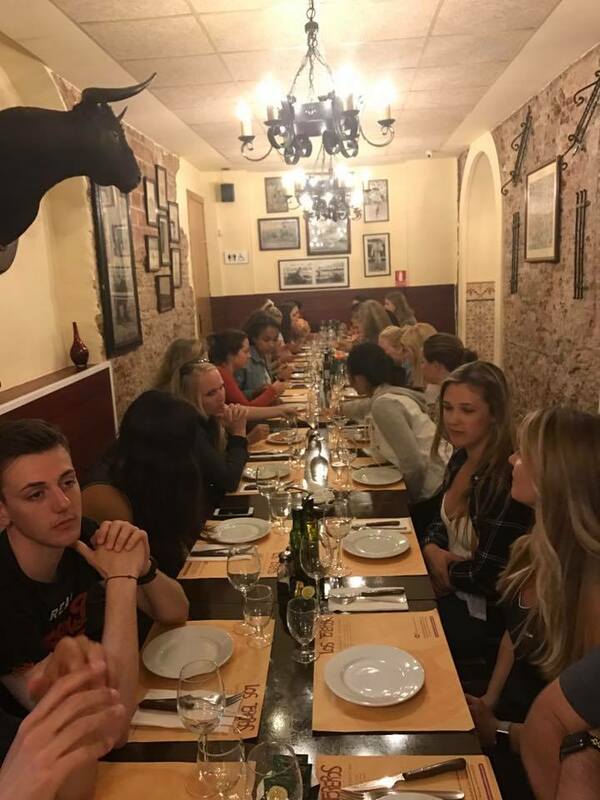 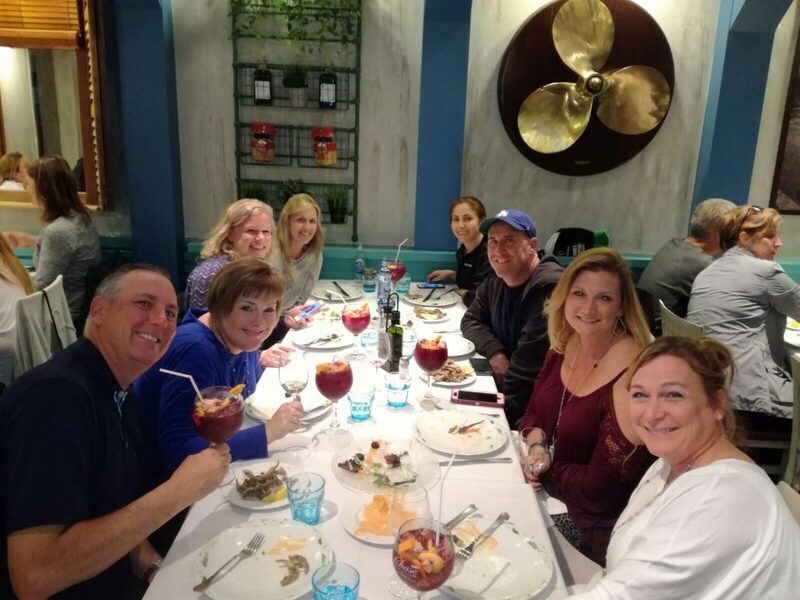 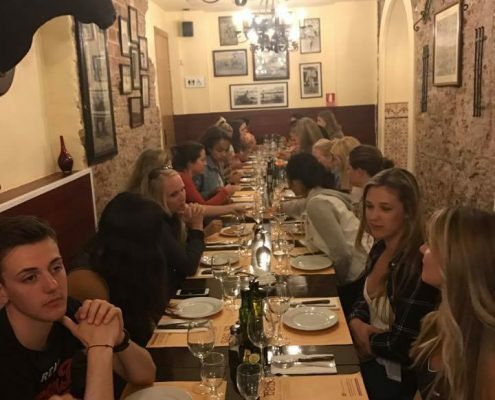 Local cuisine focused on the famous tapas ant the paella of Catalan capital made the Australian group to delight, which after enjoying a few days of tourism and sport of Barcelona began heading to Madrid and London. 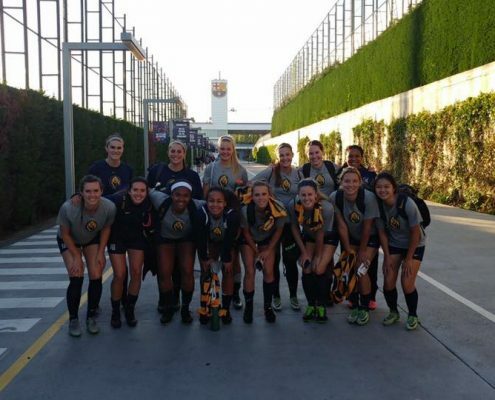 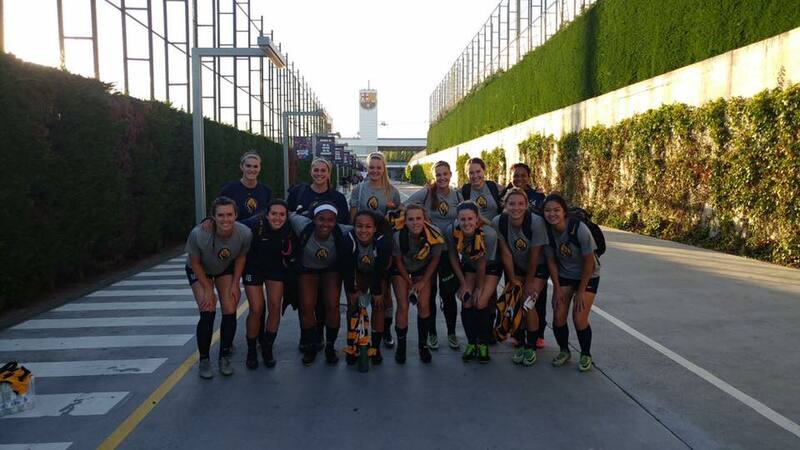 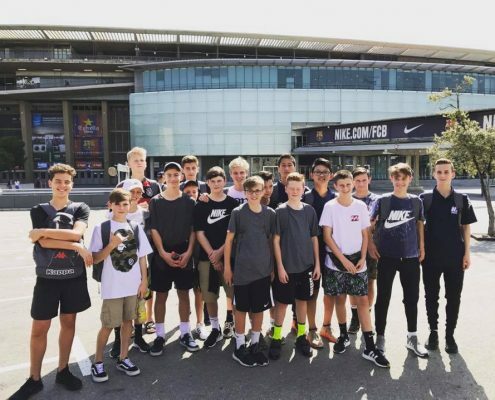 After two years of their last and extraordinary trip to Barcelona, AM and TakeBall made possible Redlands United FC to repeat and return to live big sensations through their new and magnificent Tour. 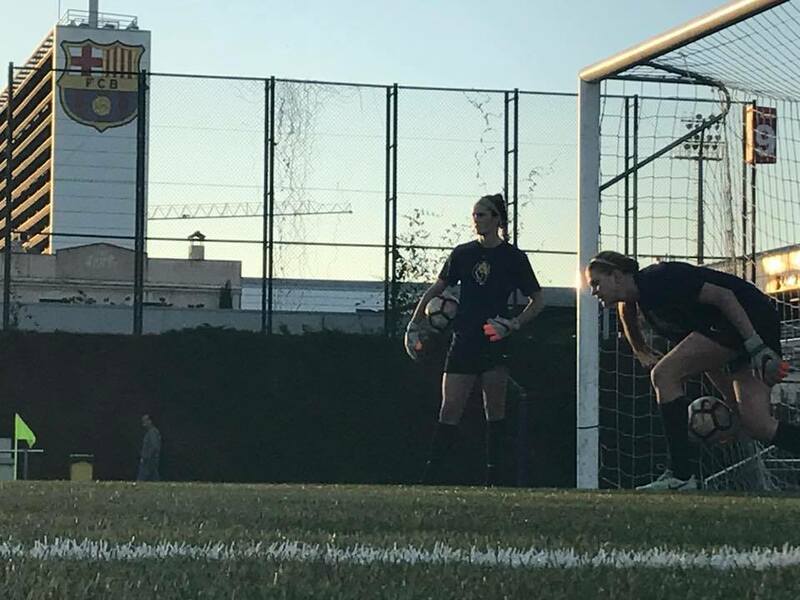 In conclusion, it is that who test, repeats. 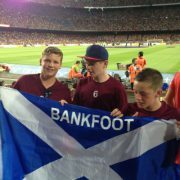 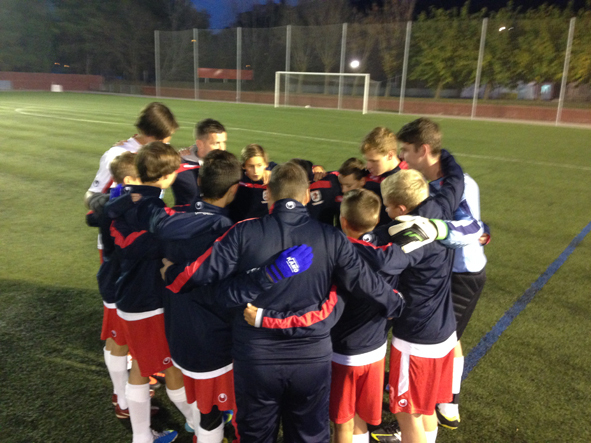 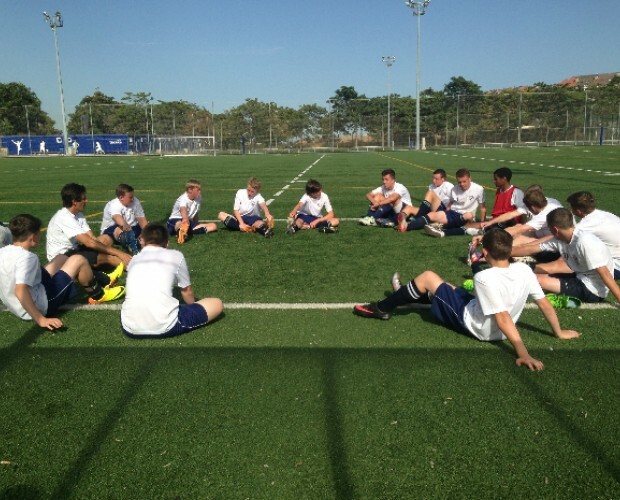 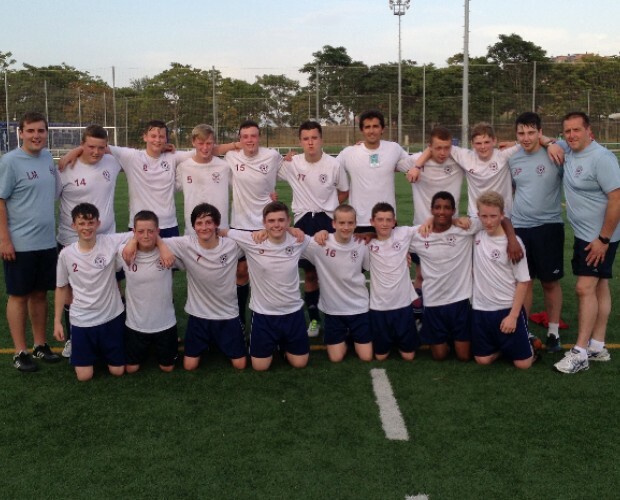 Boys belonging to the Scottish Bankfood Athletic had a really great time these days in Barcelona. 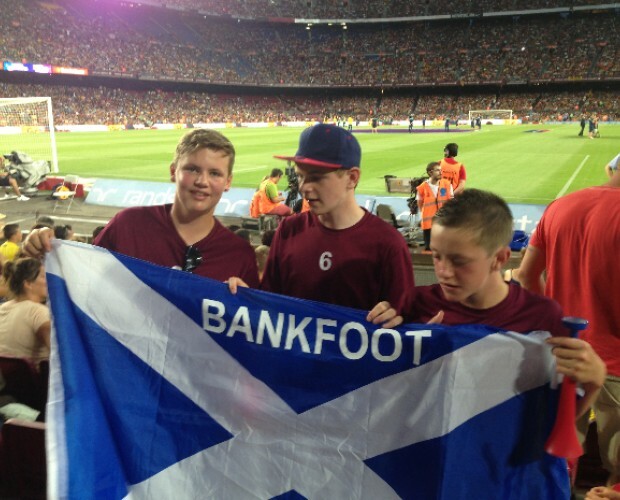 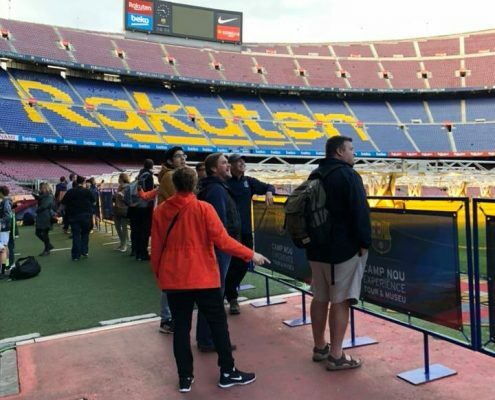 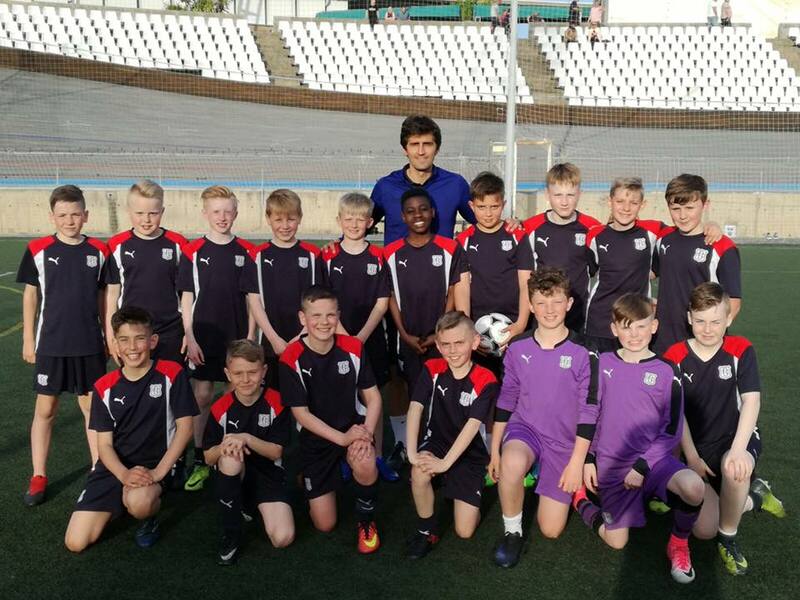 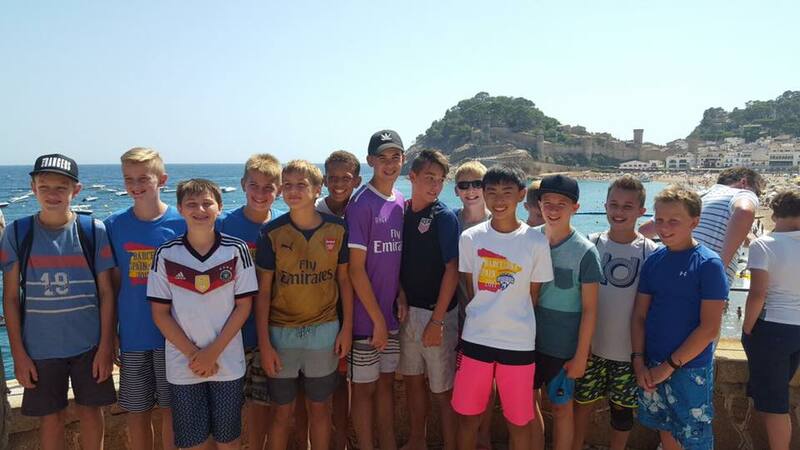 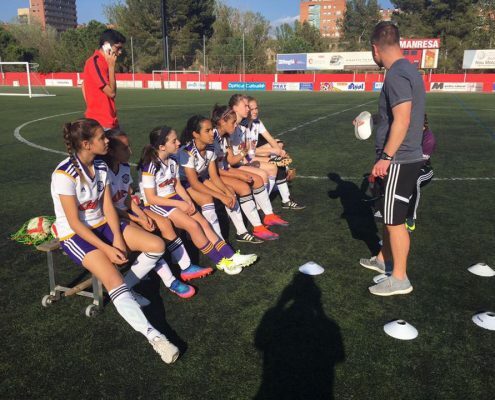 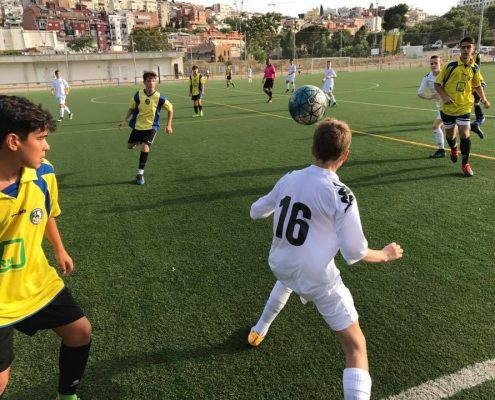 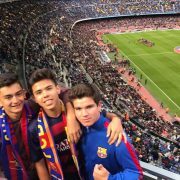 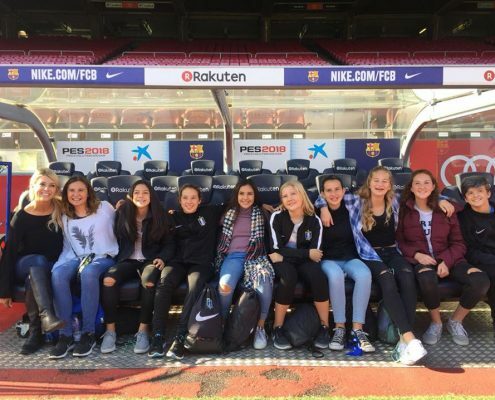 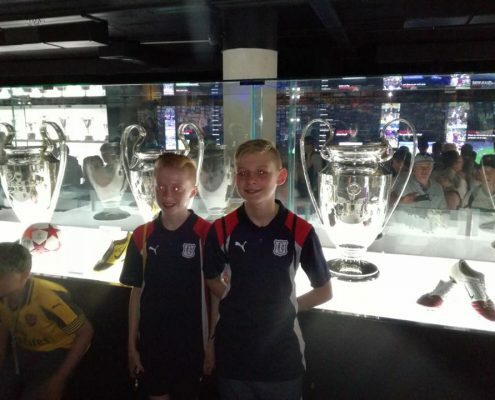 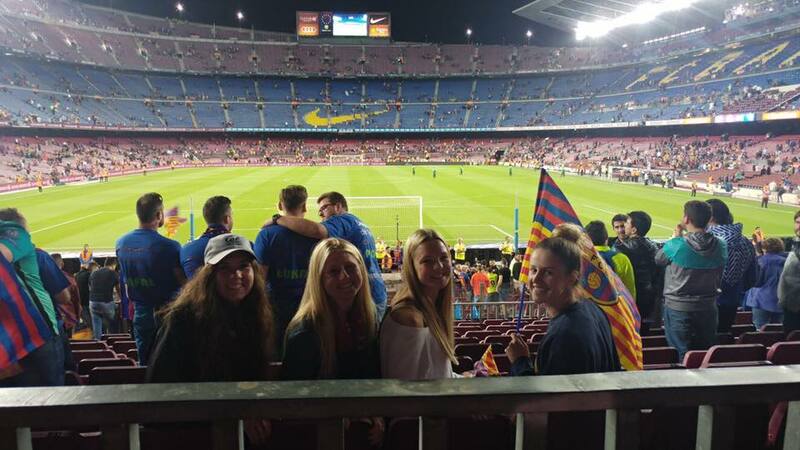 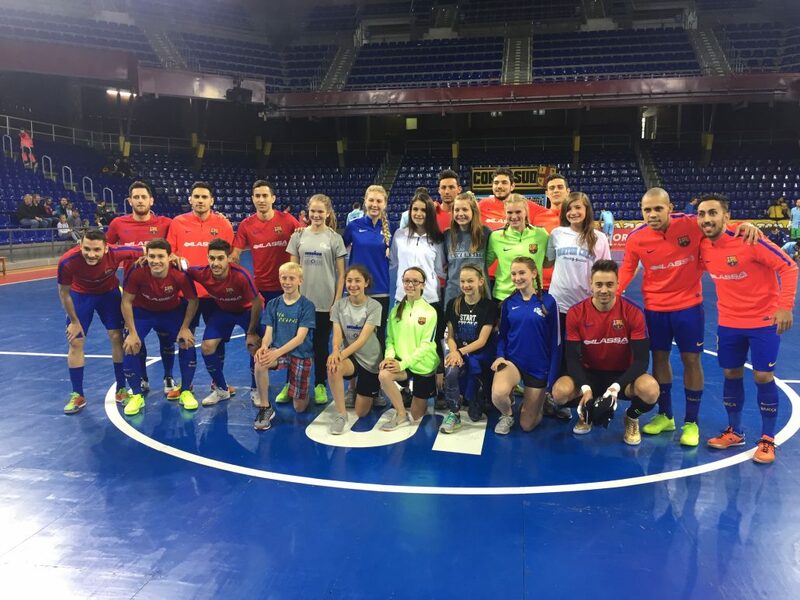 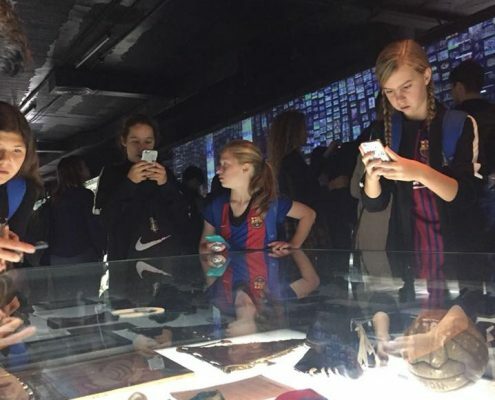 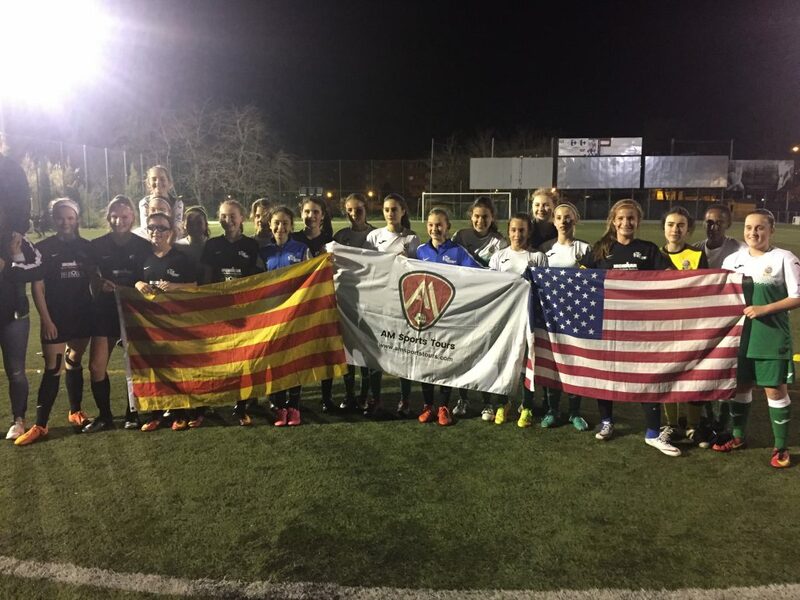 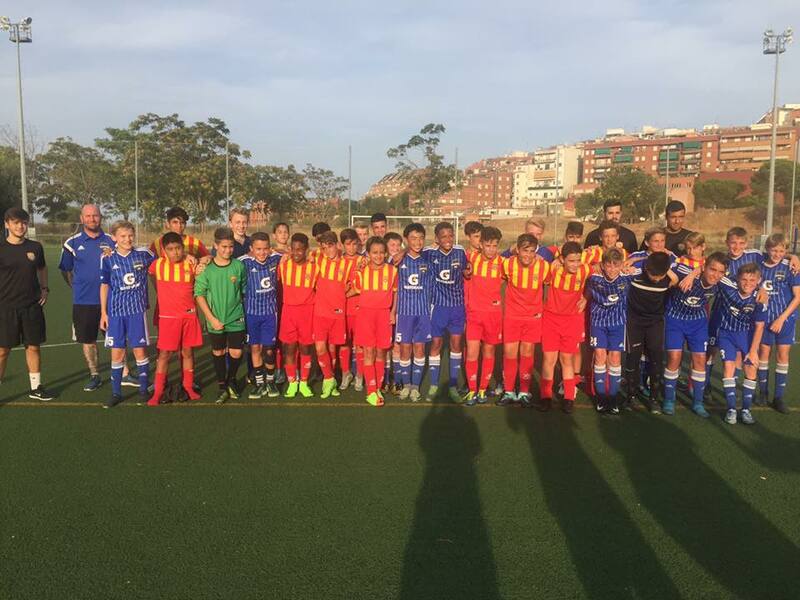 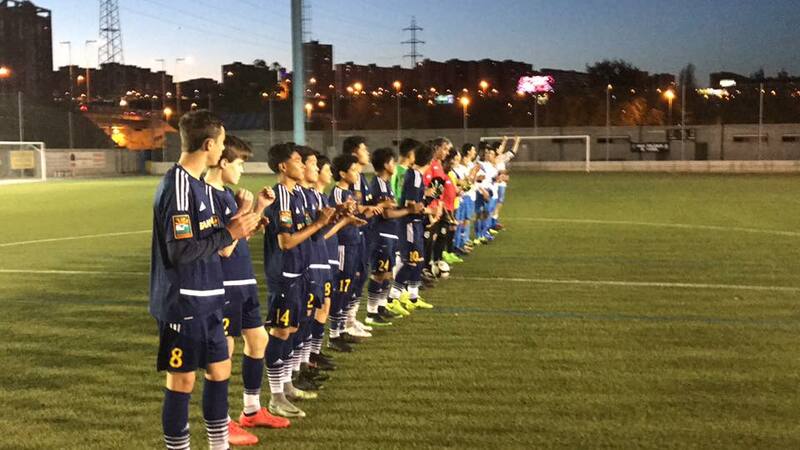 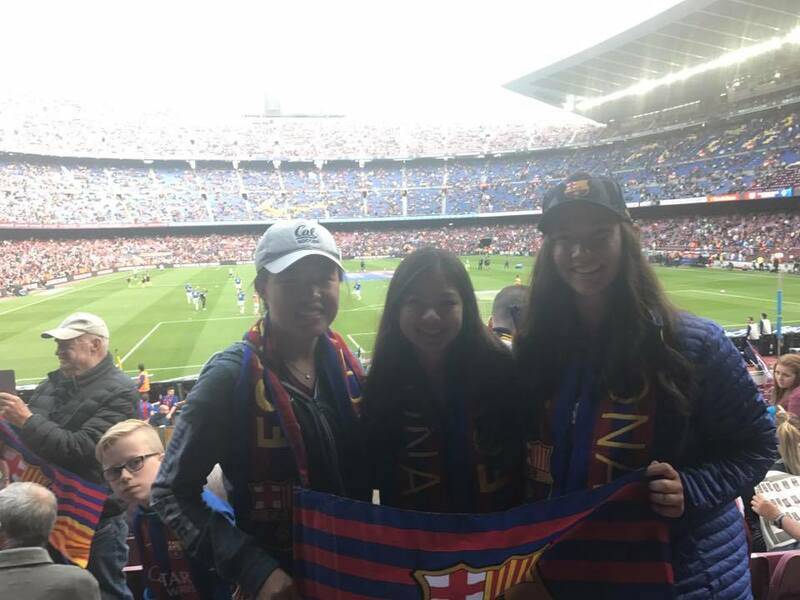 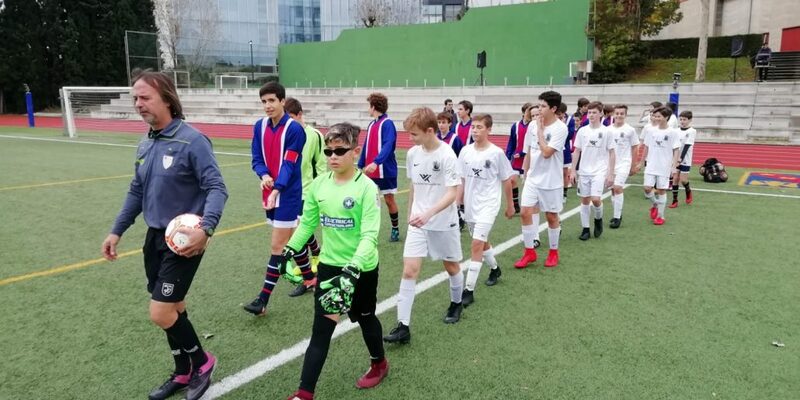 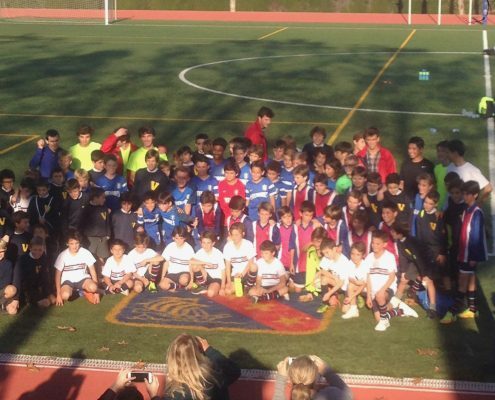 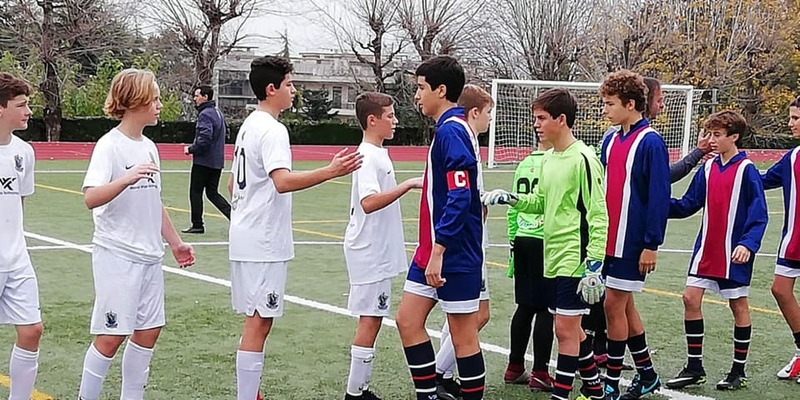 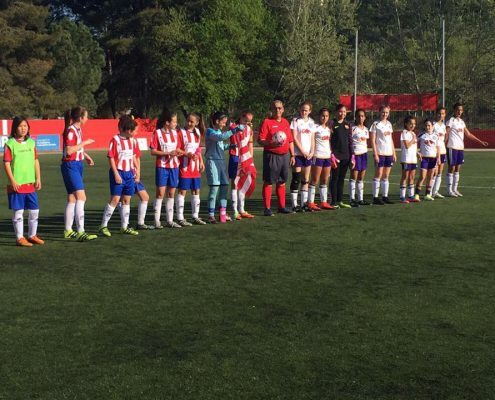 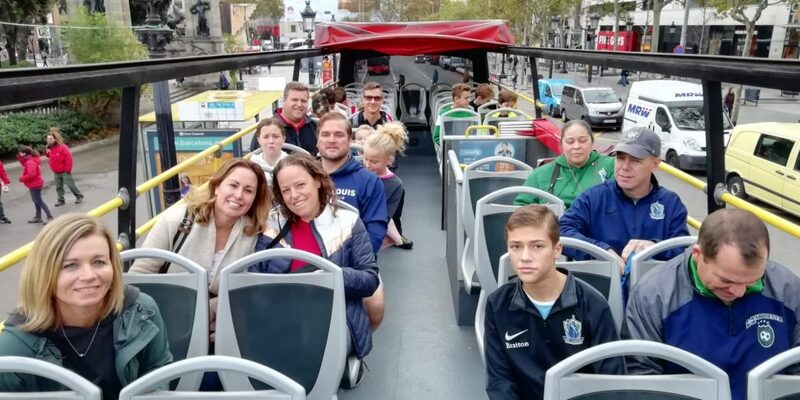 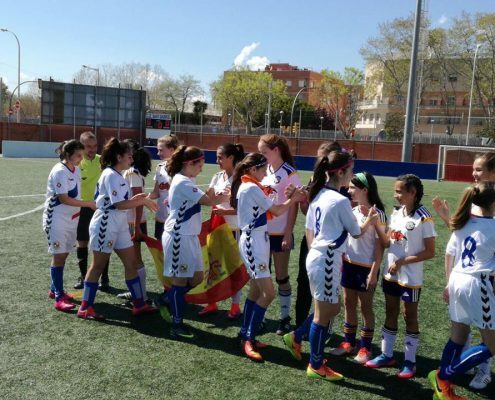 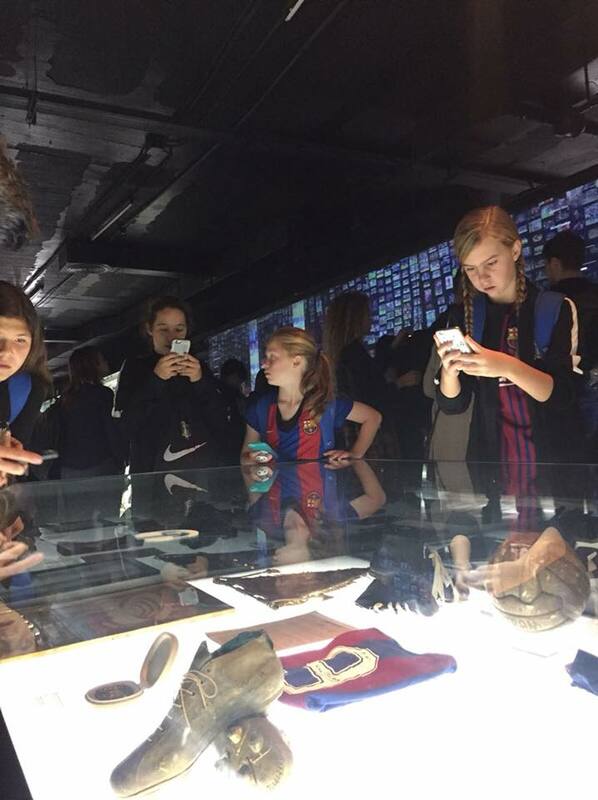 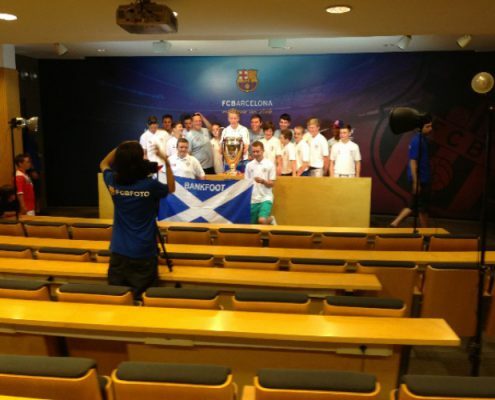 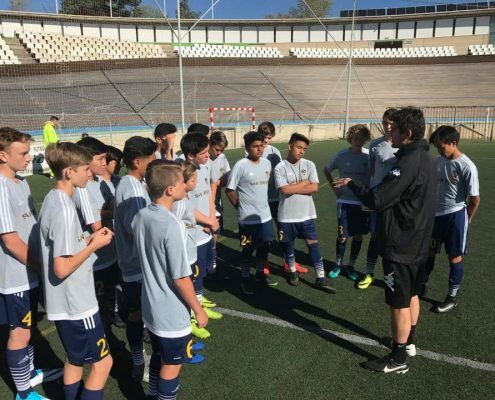 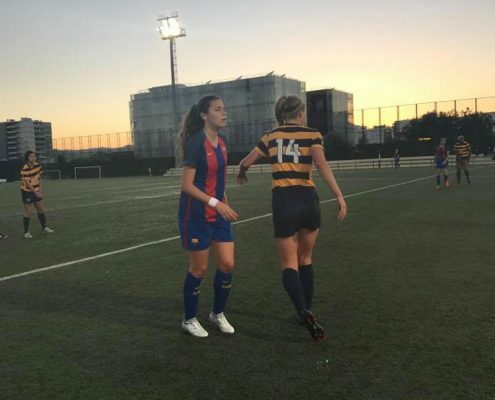 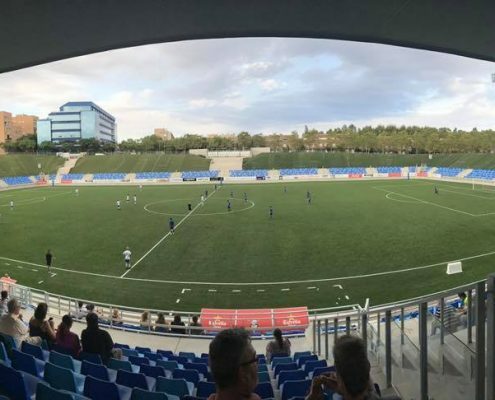 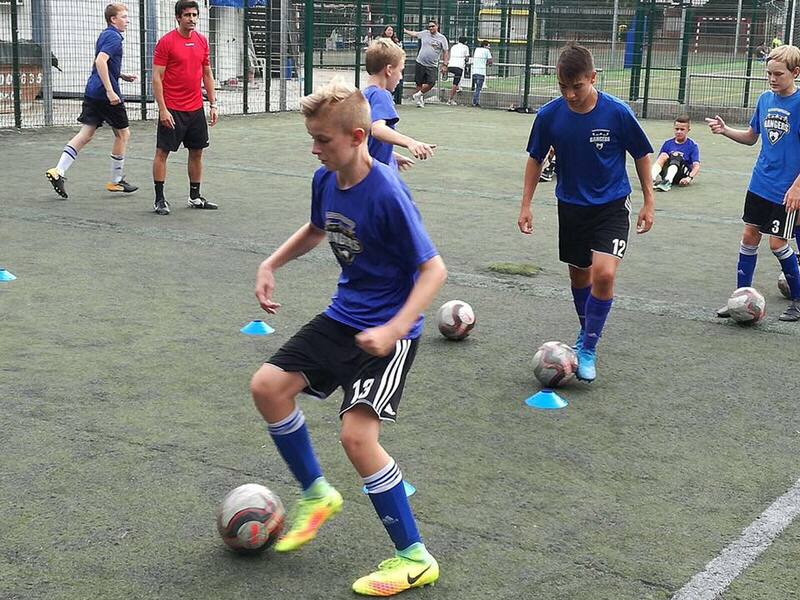 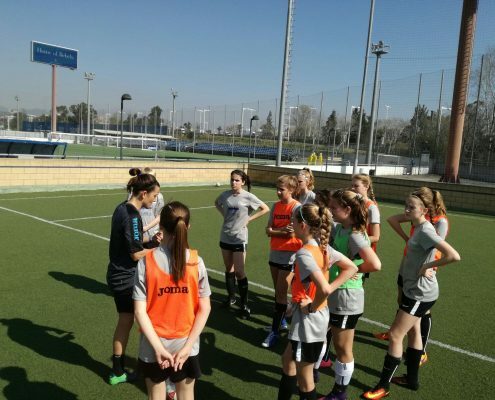 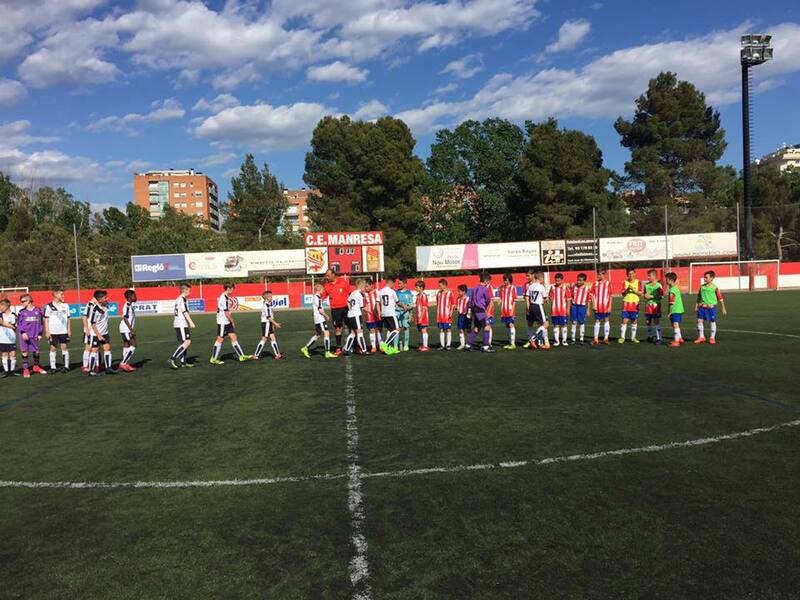 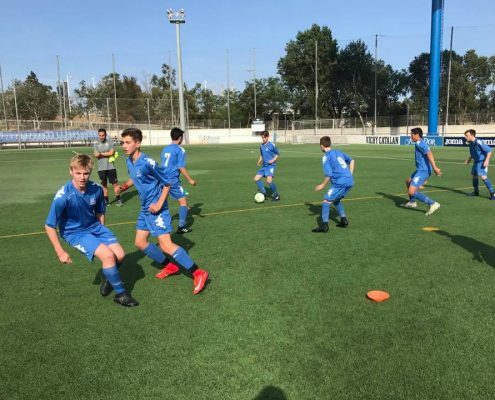 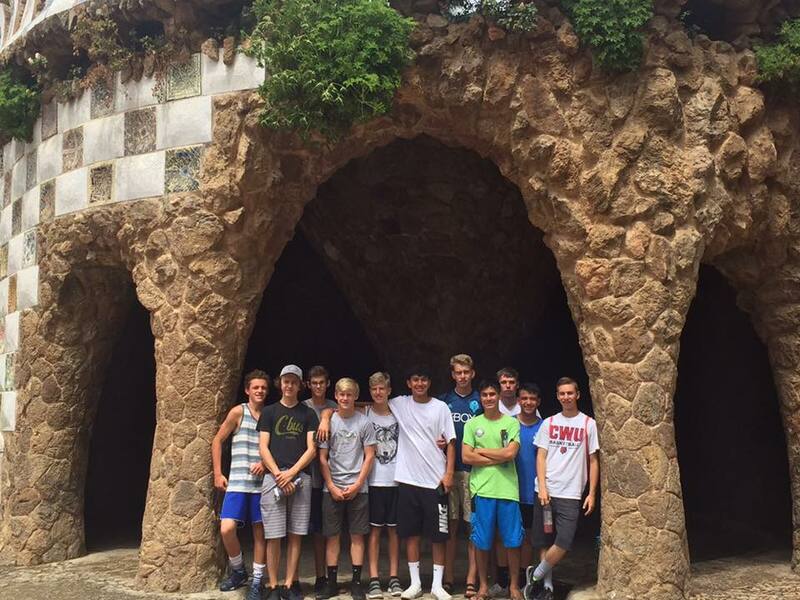 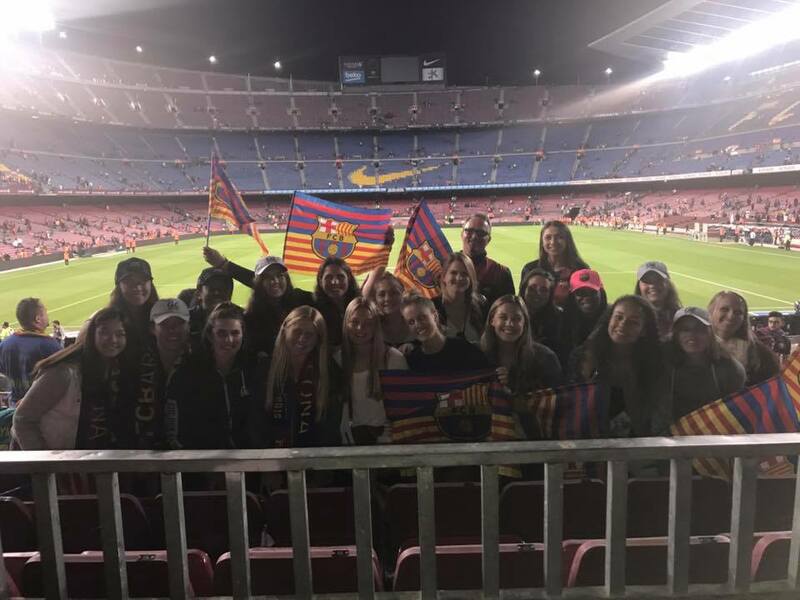 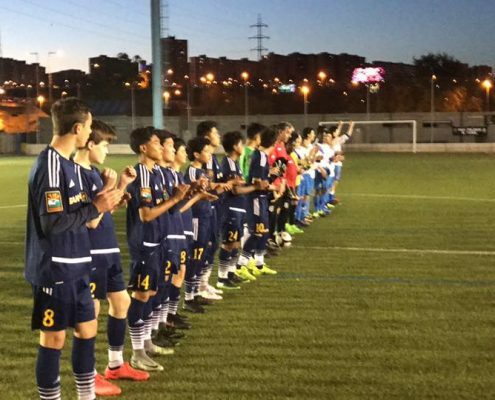 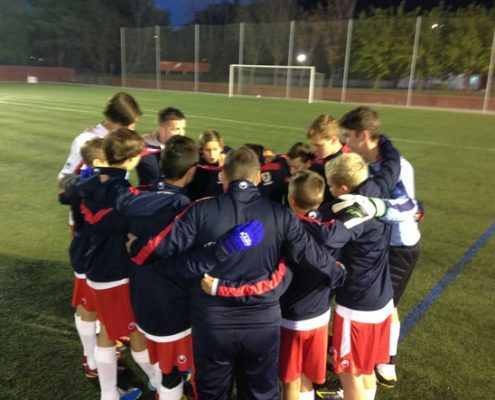 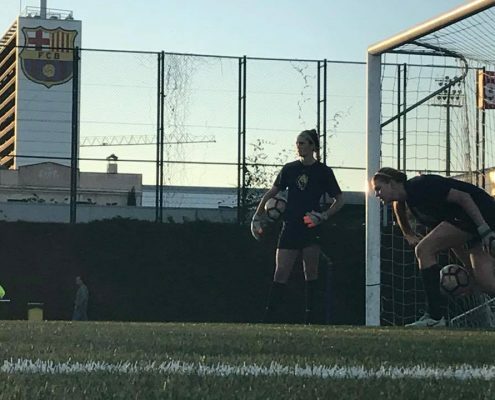 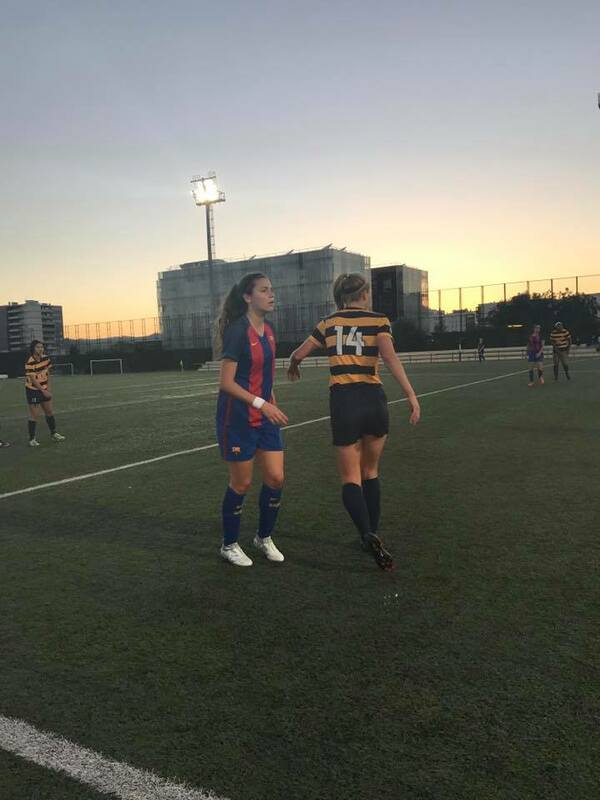 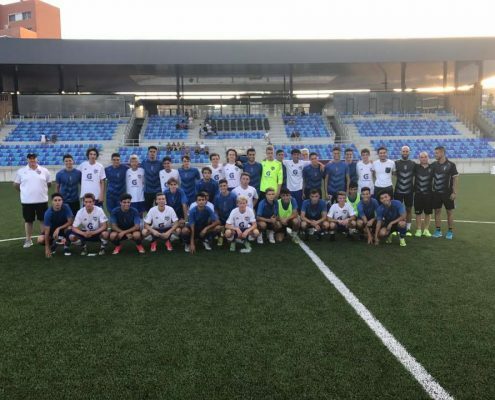 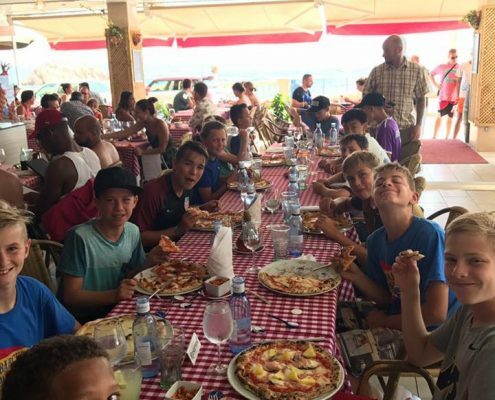 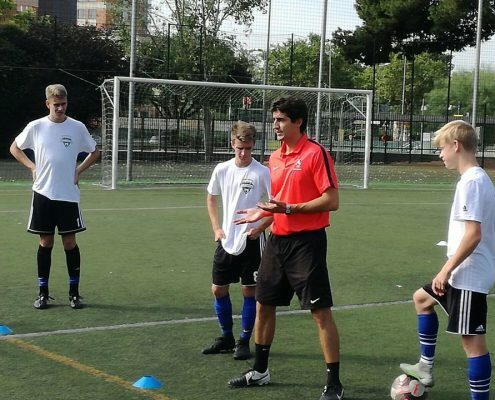 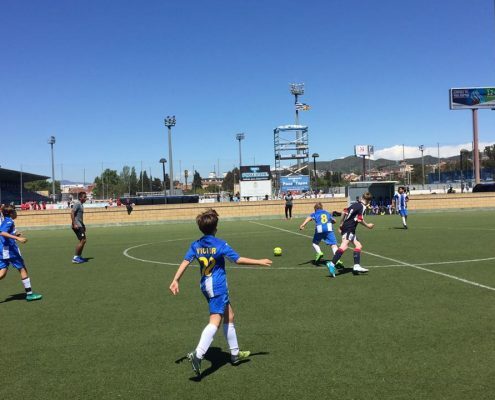 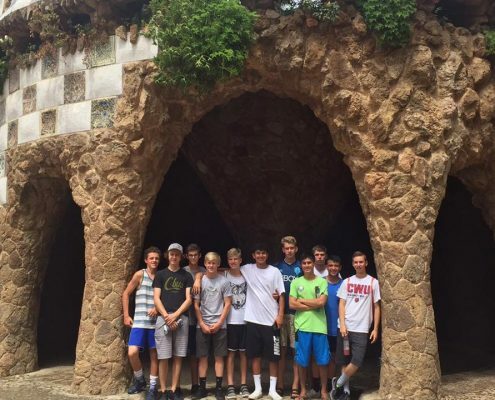 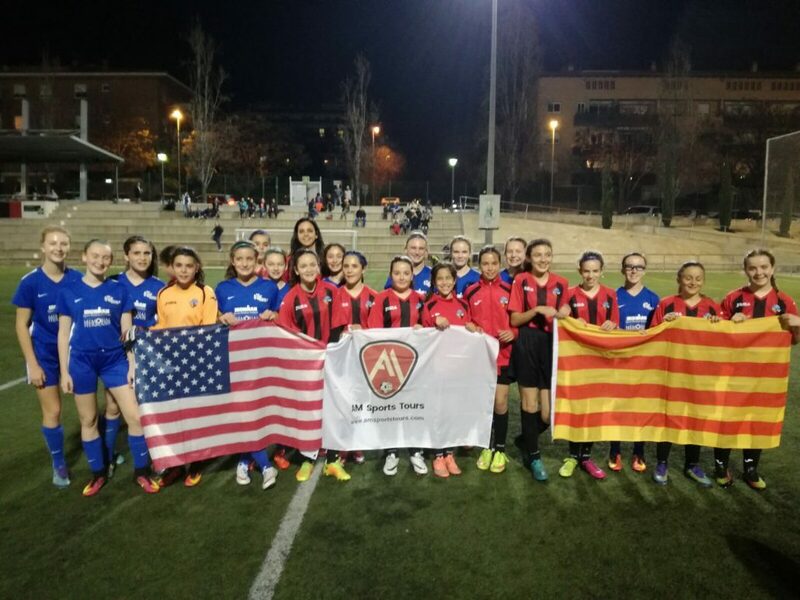 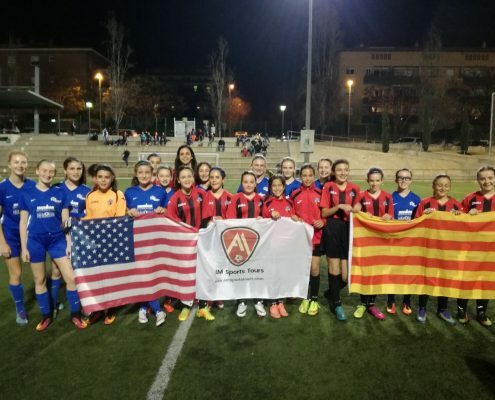 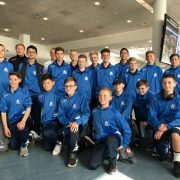 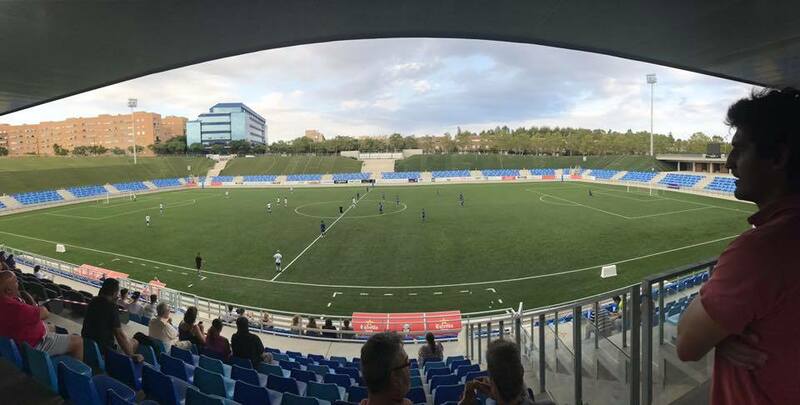 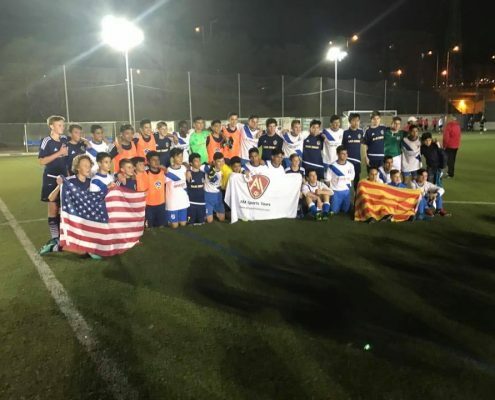 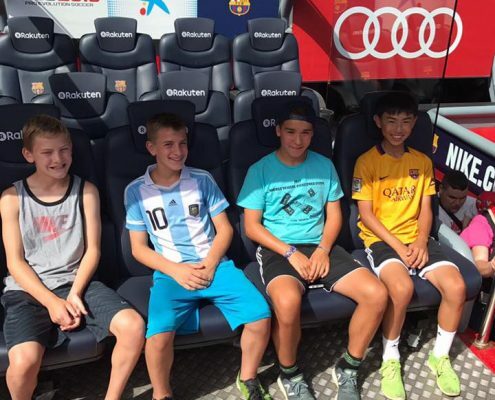 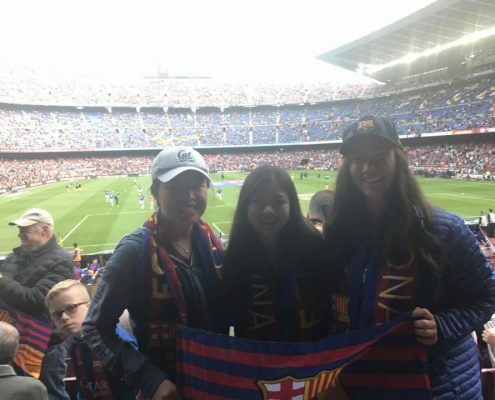 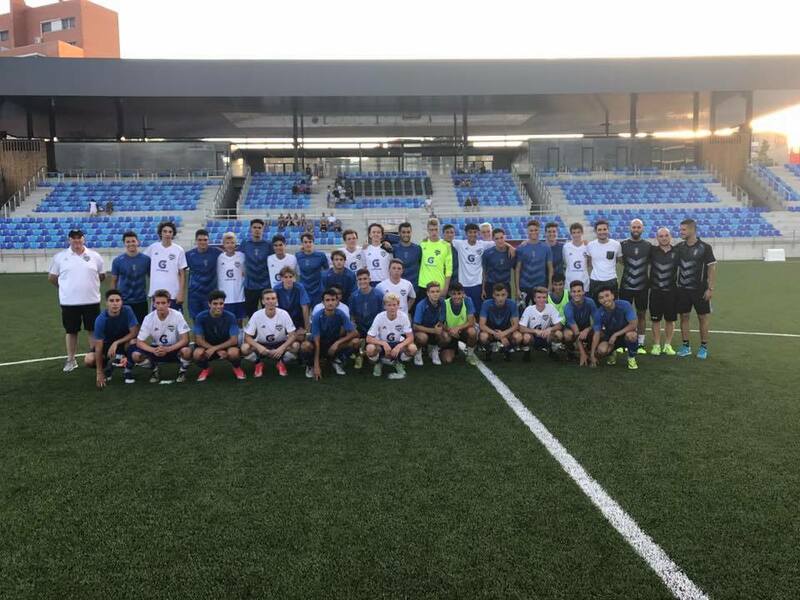 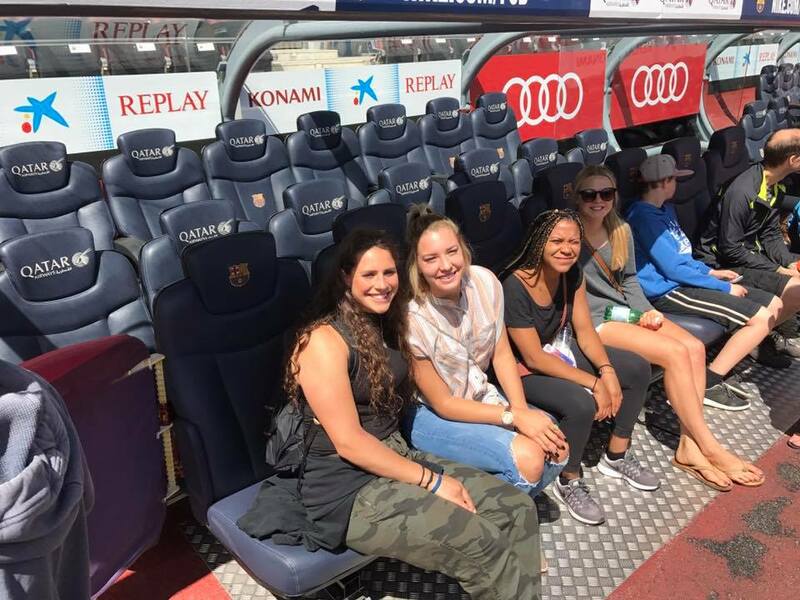 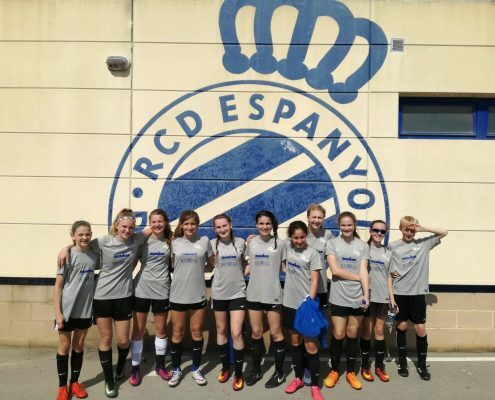 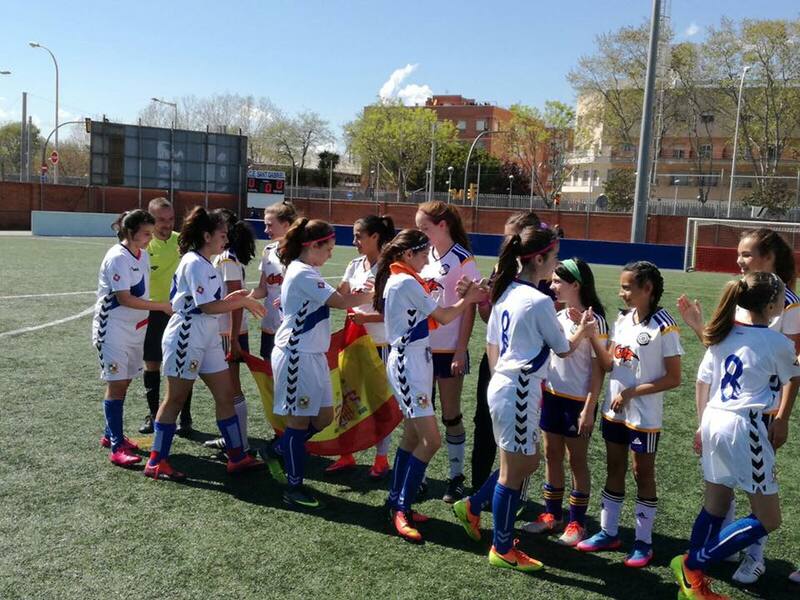 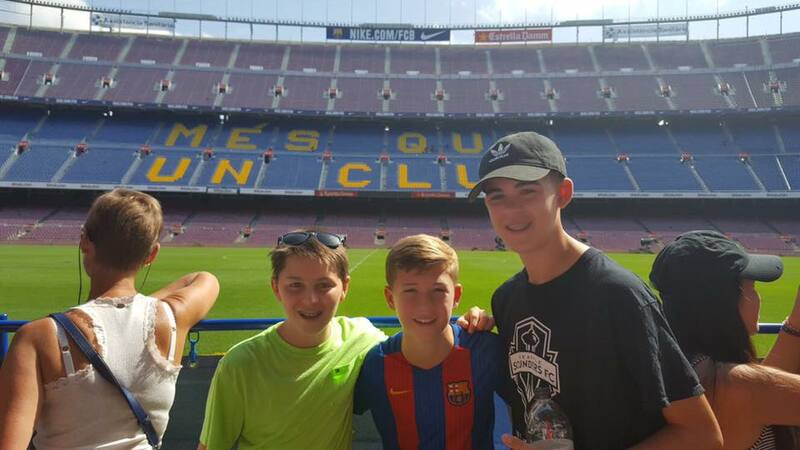 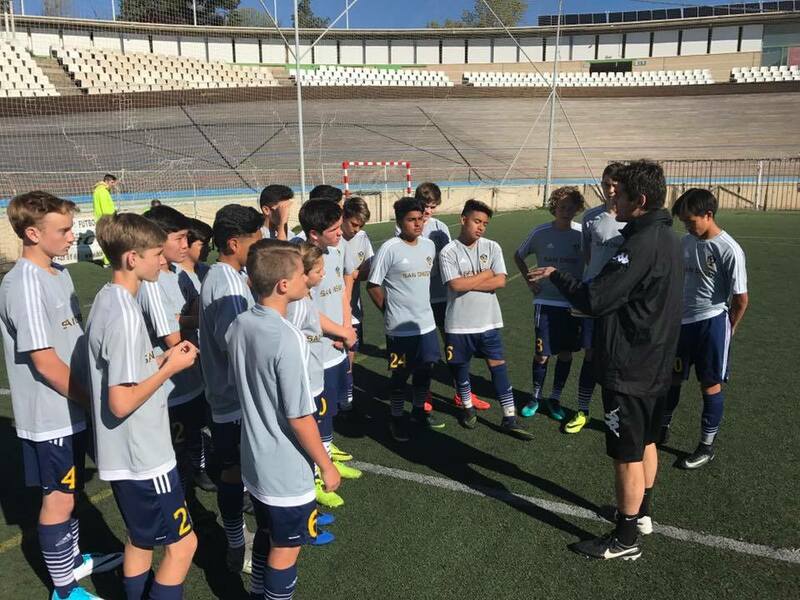 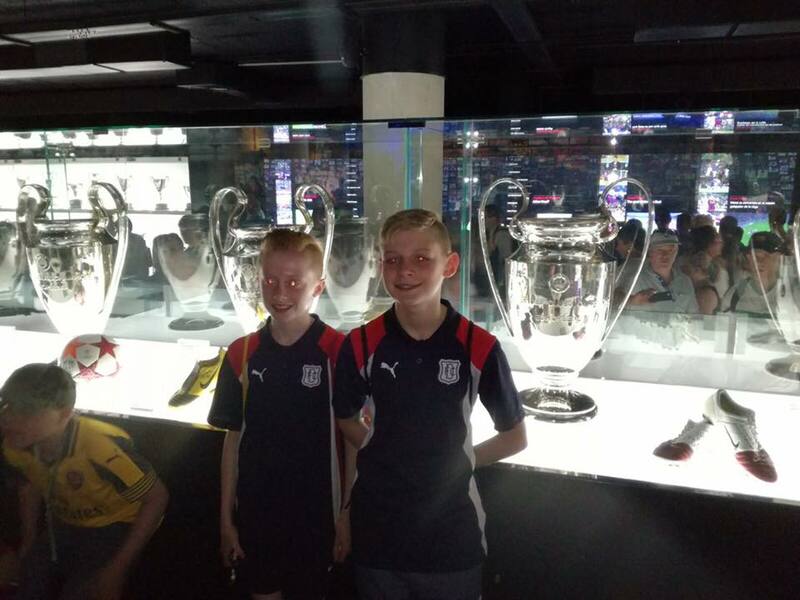 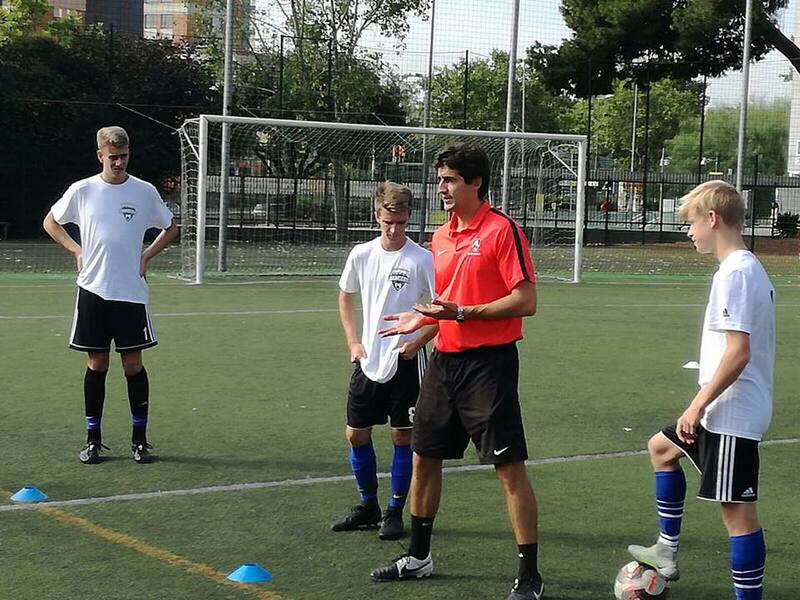 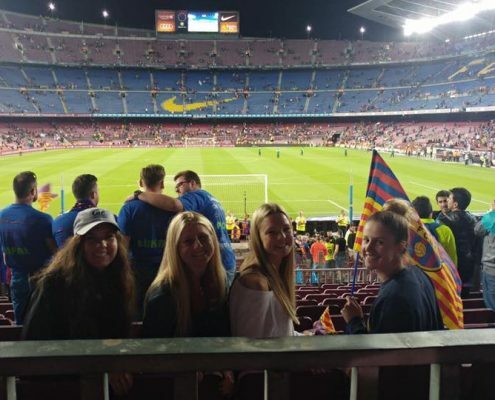 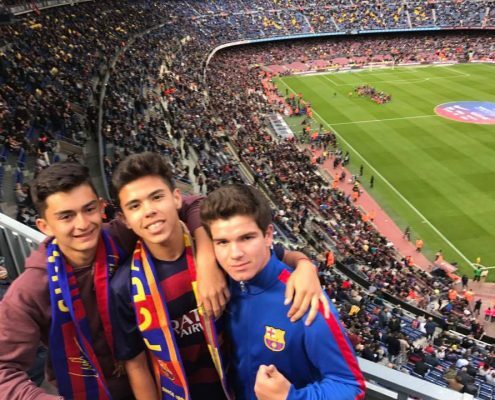 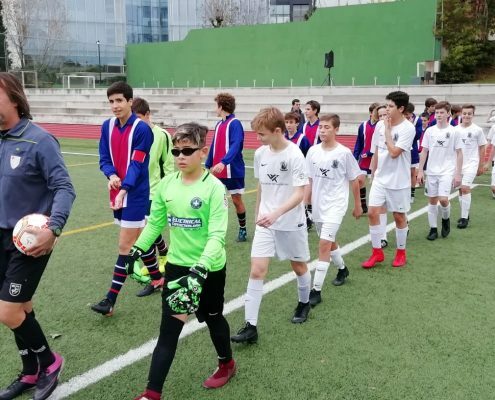 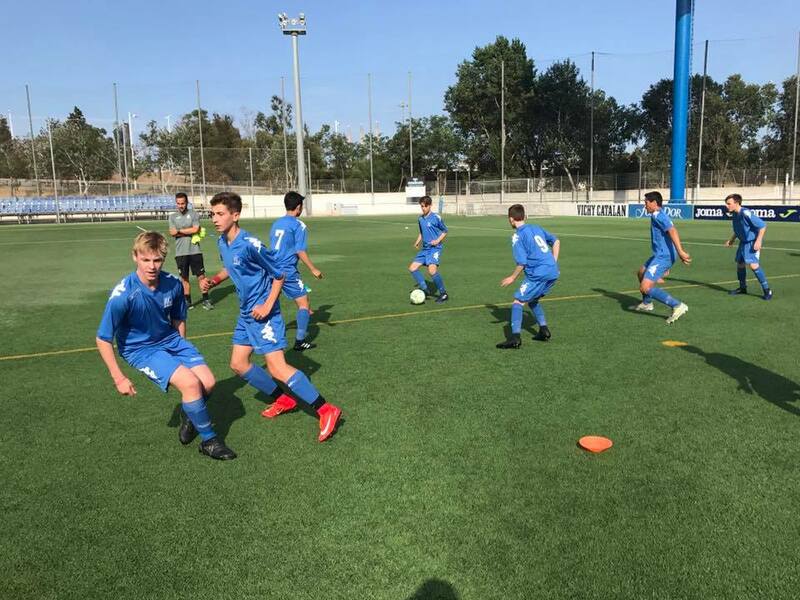 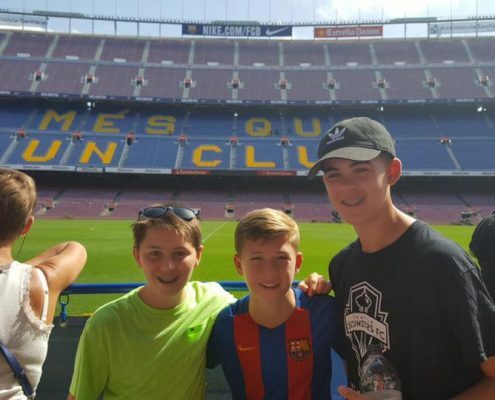 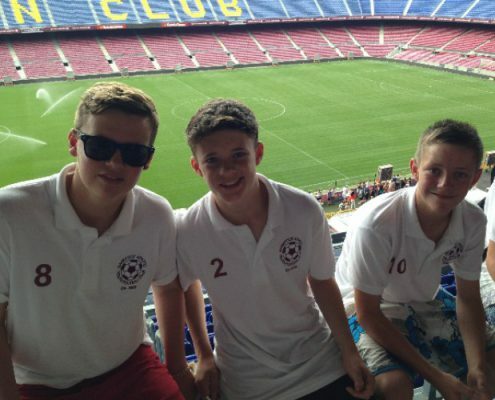 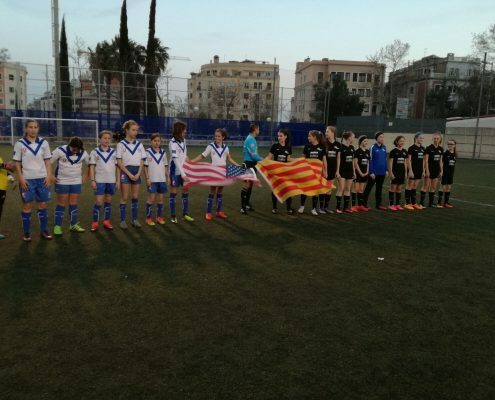 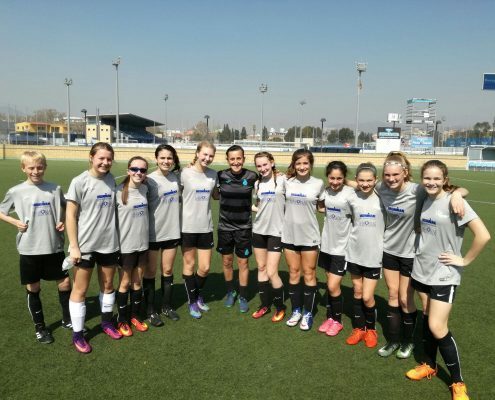 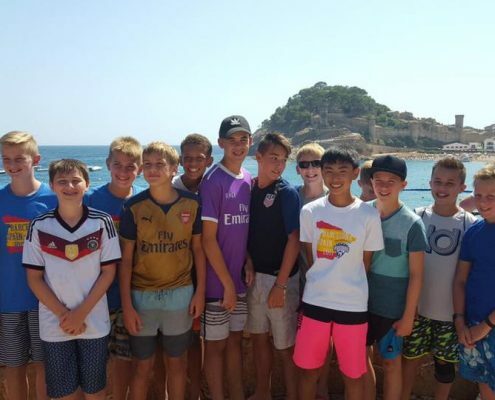 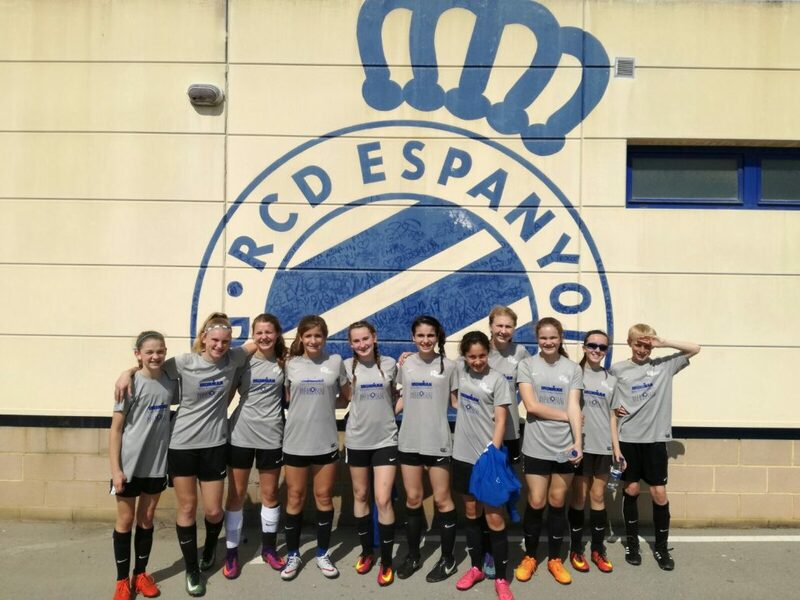 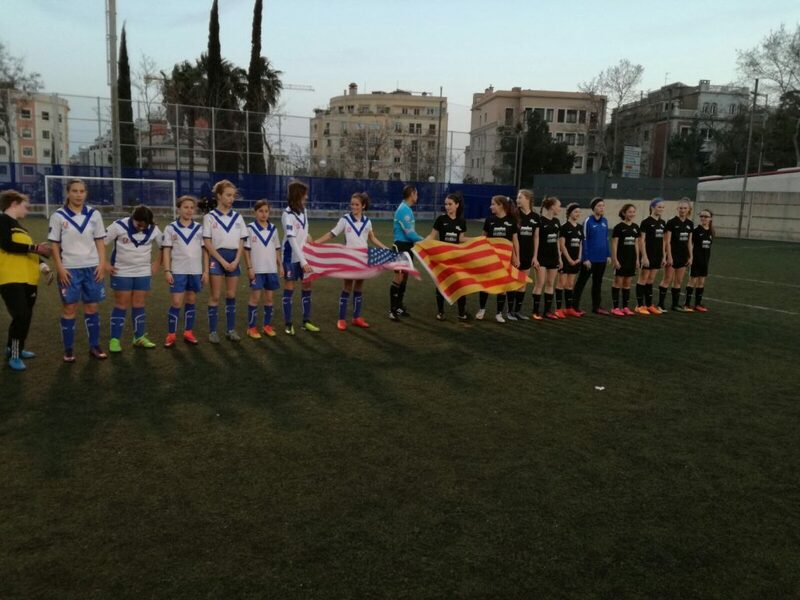 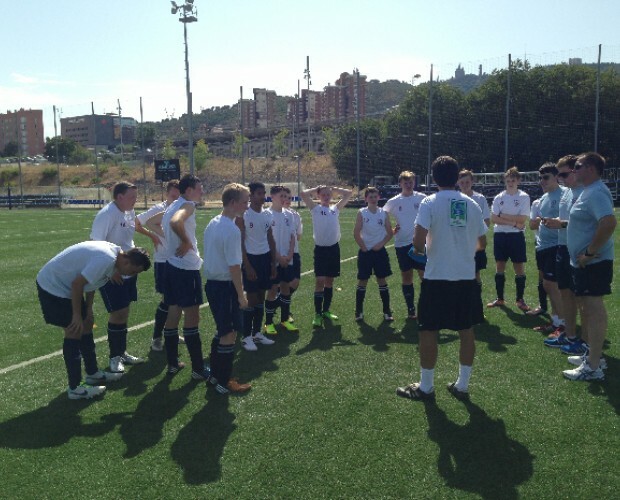 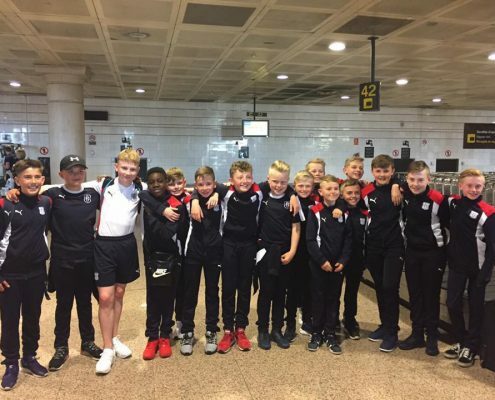 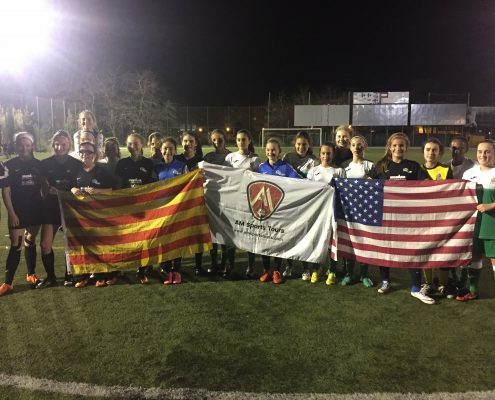 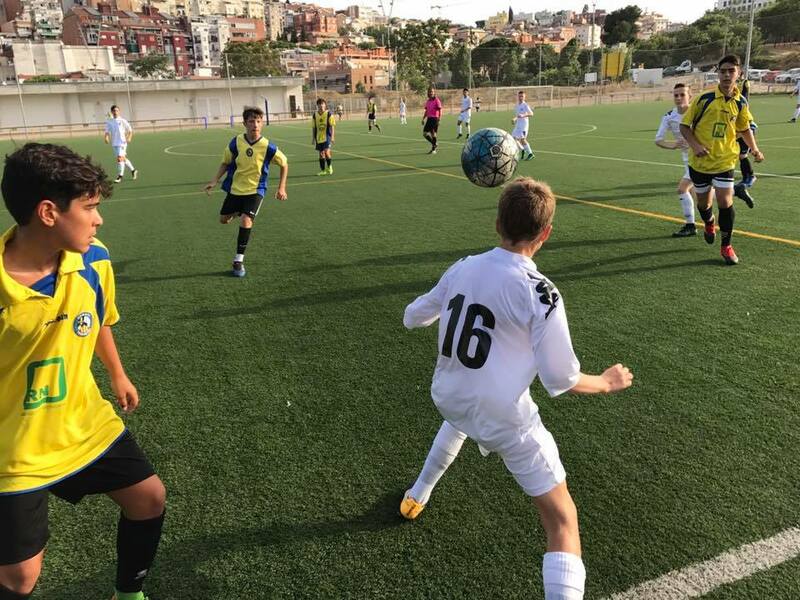 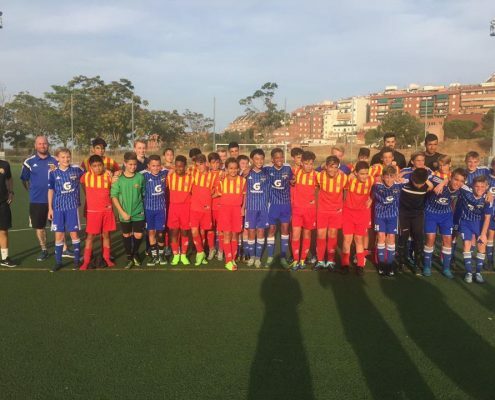 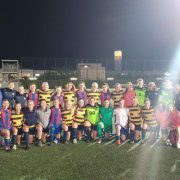 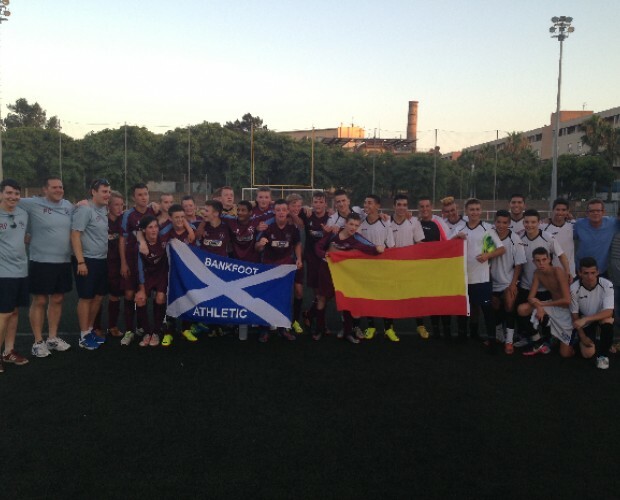 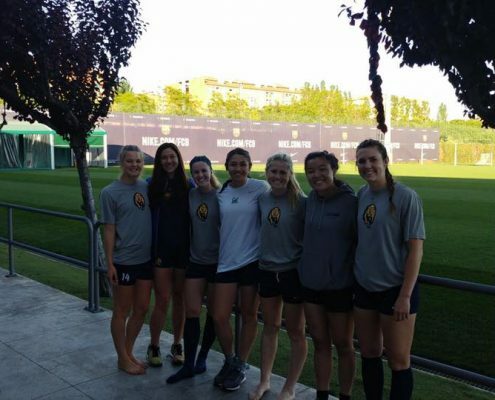 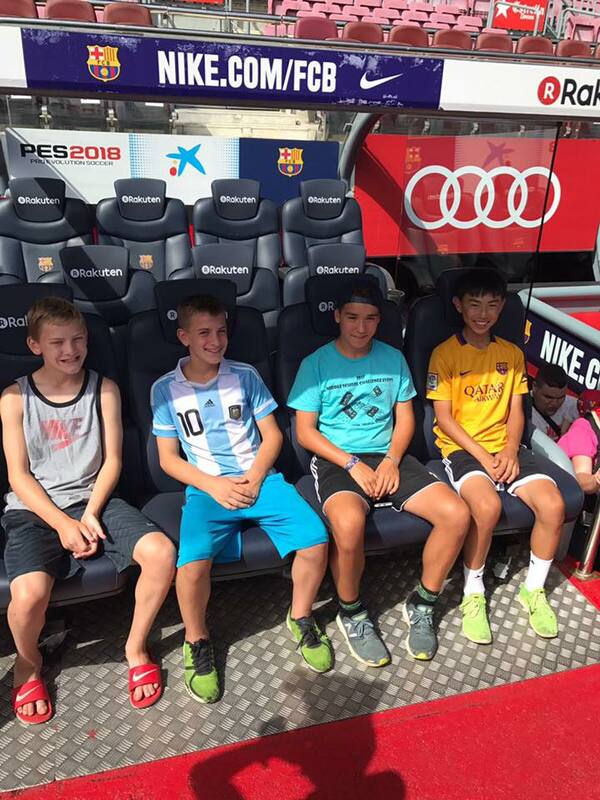 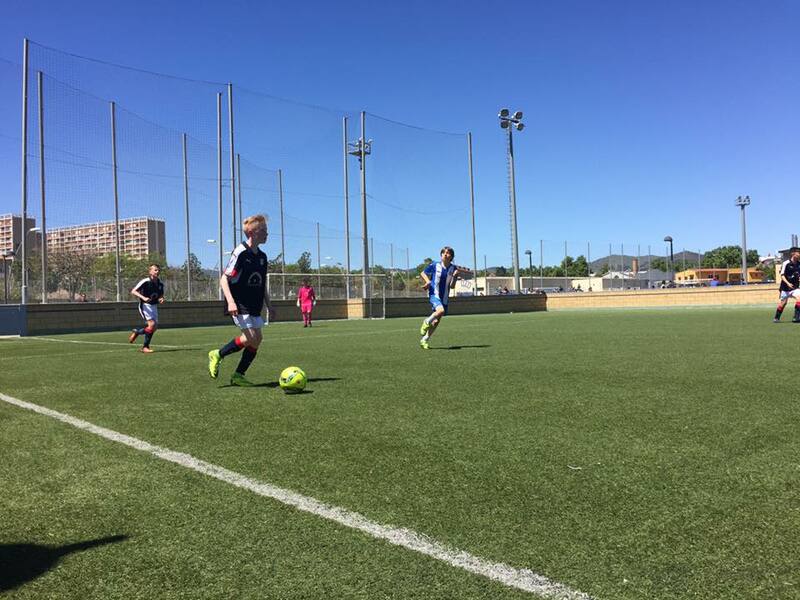 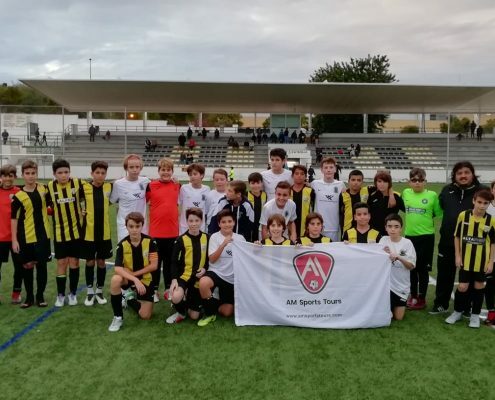 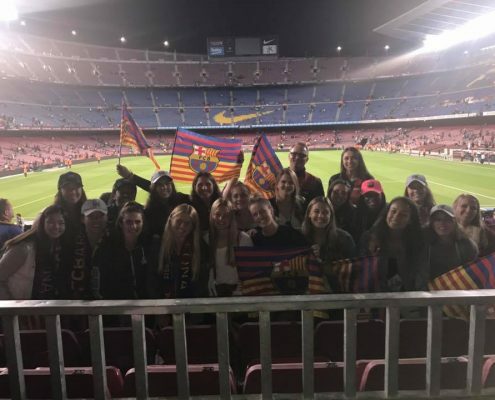 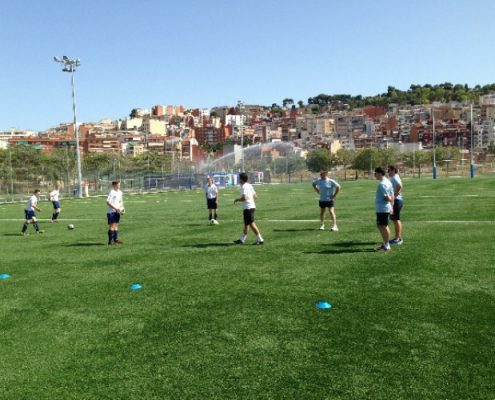 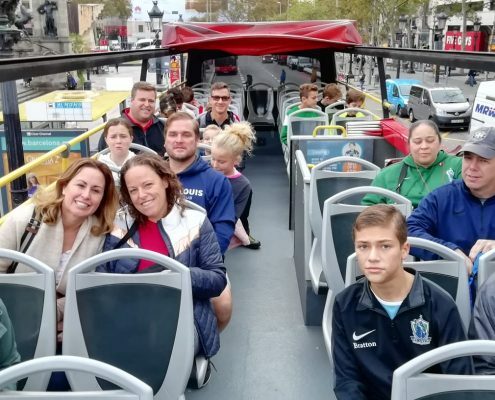 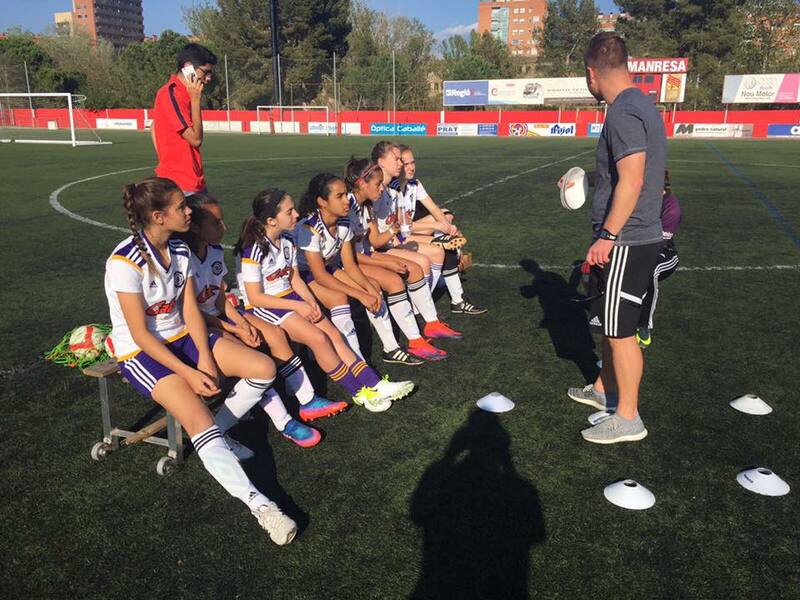 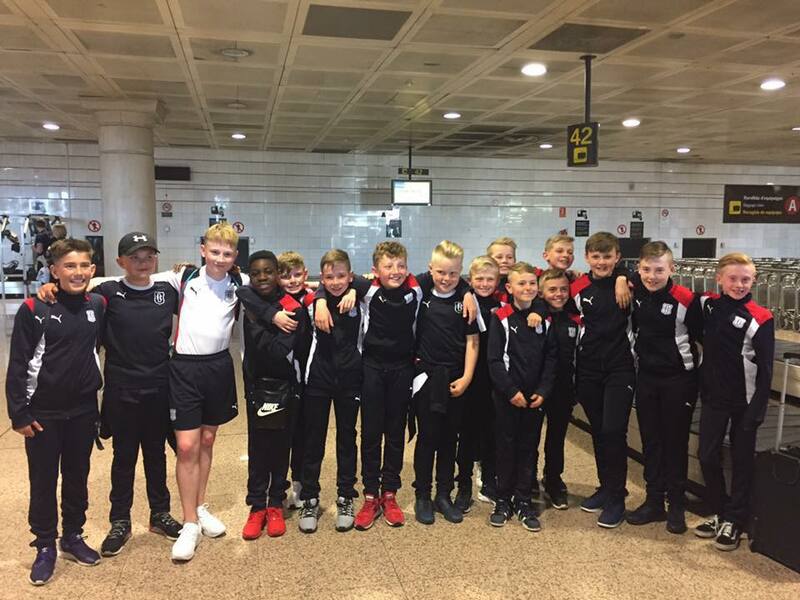 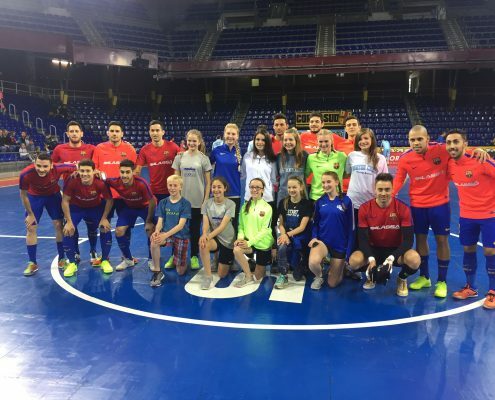 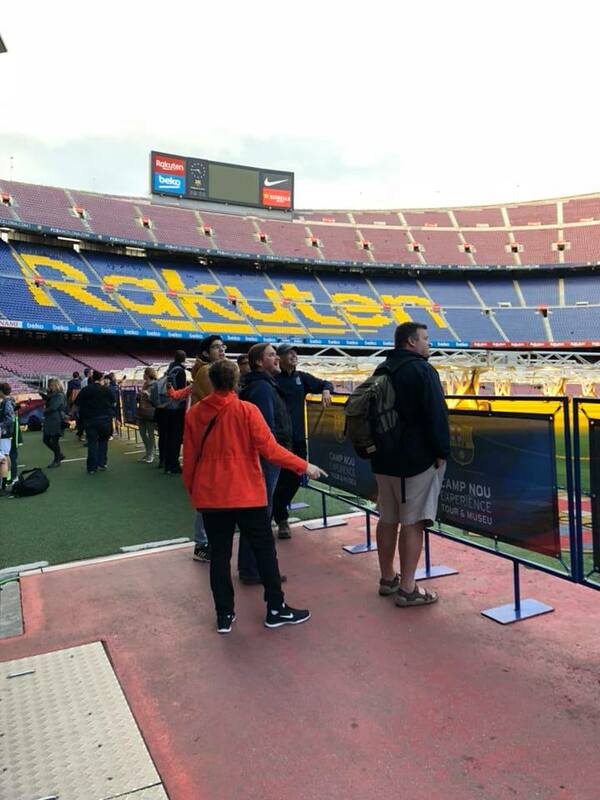 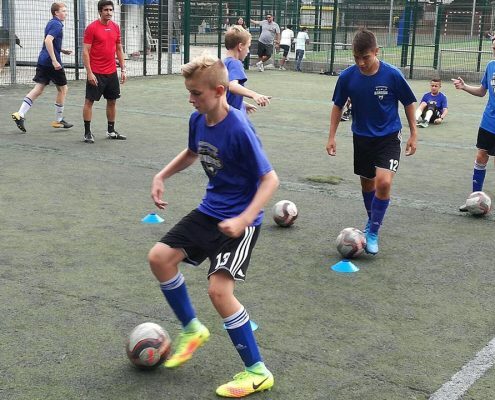 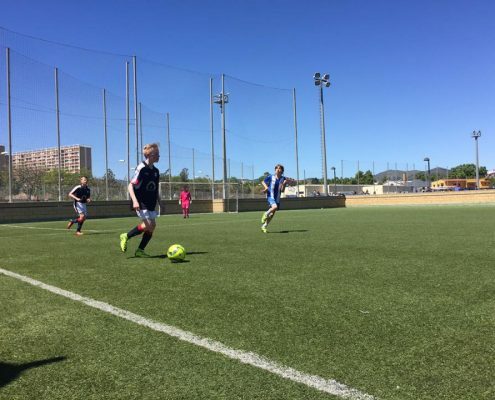 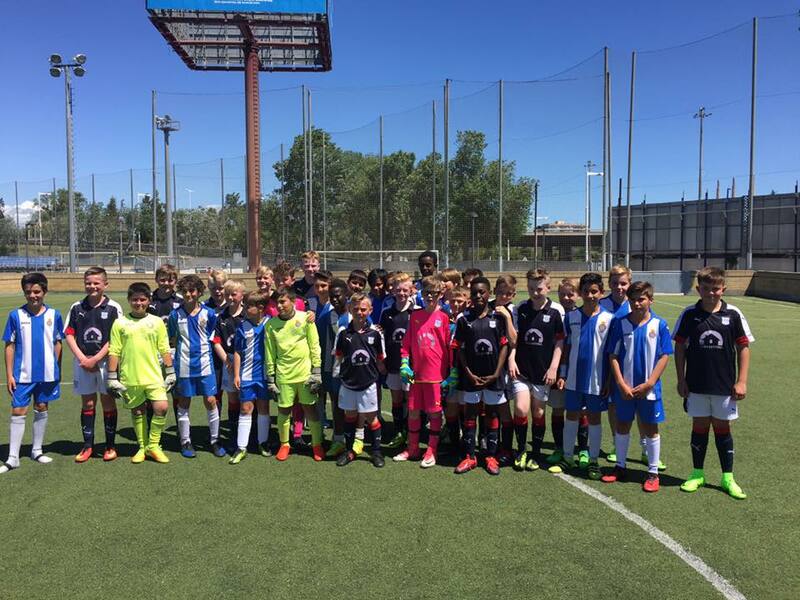 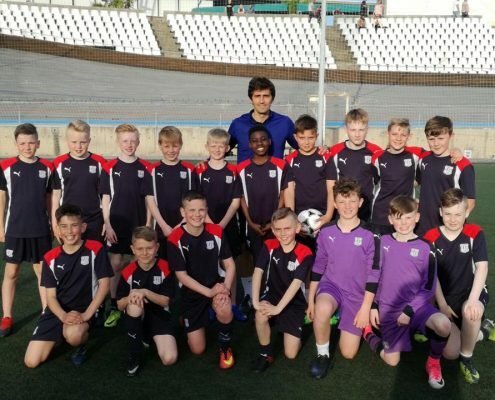 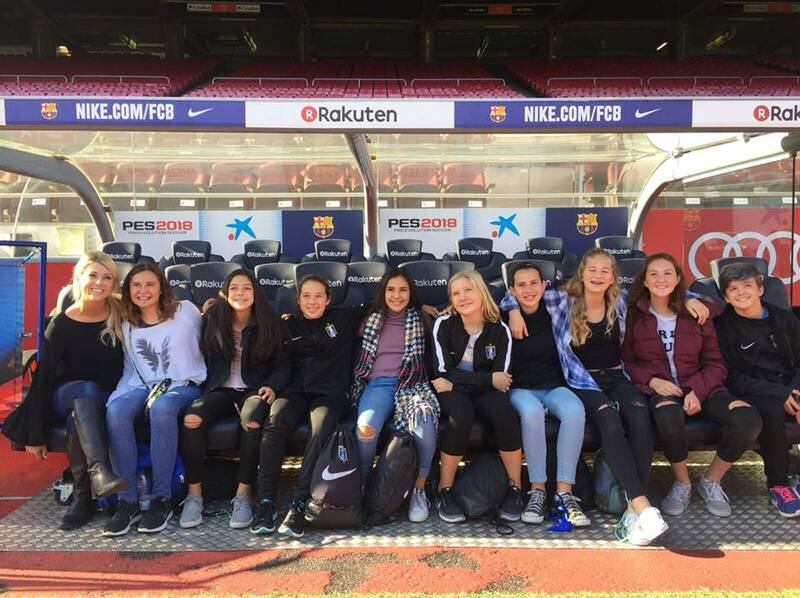 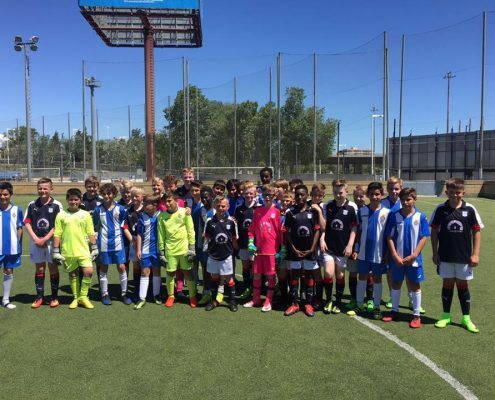 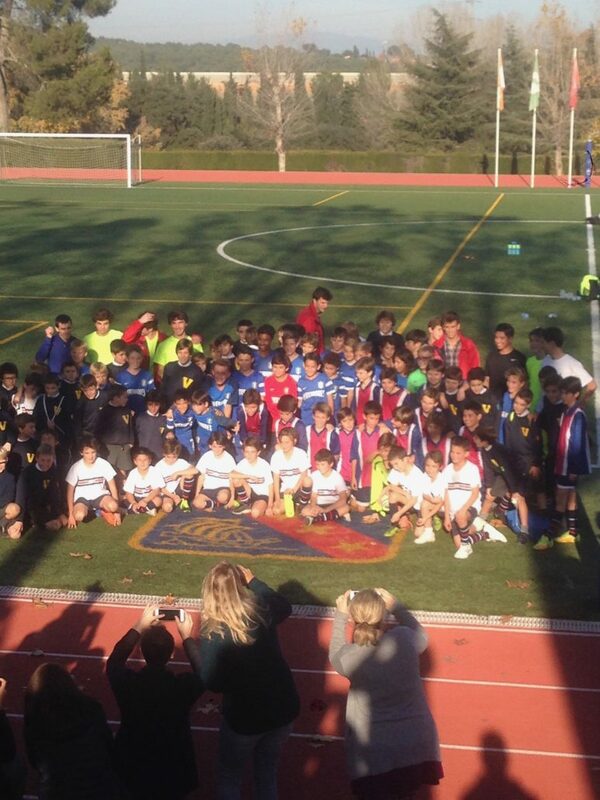 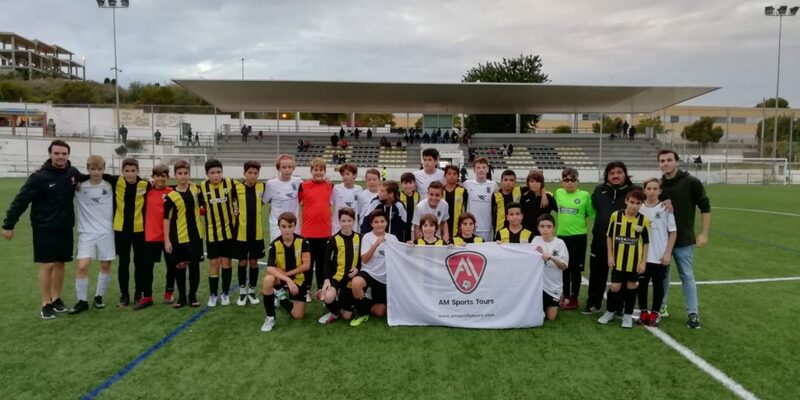 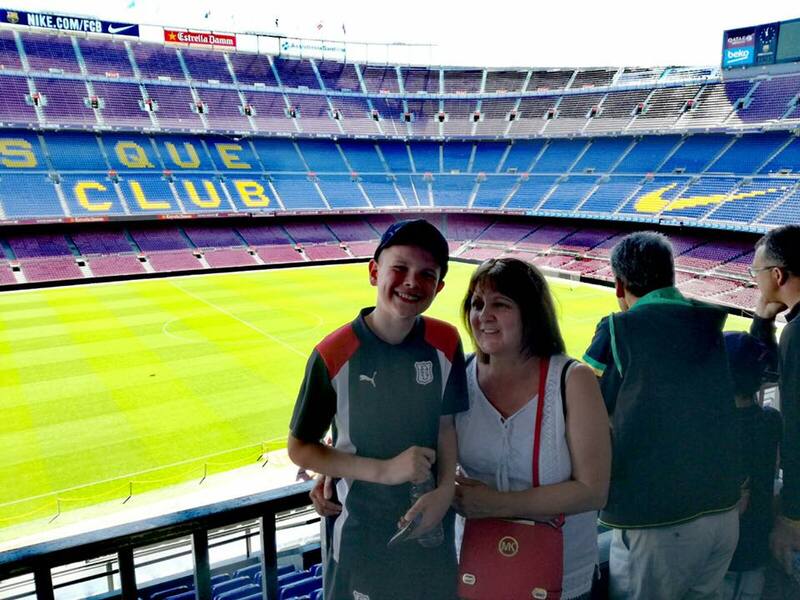 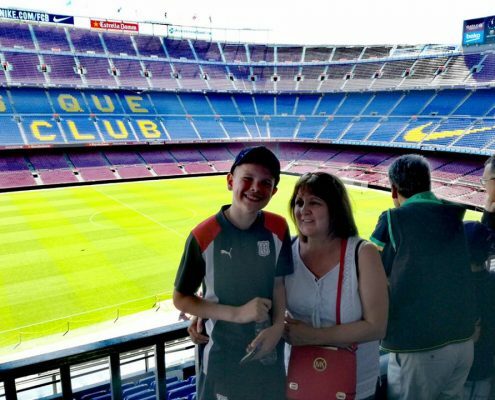 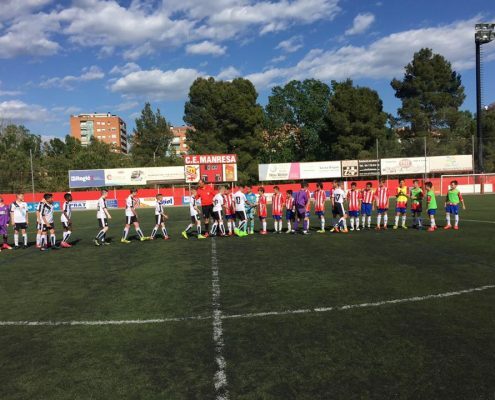 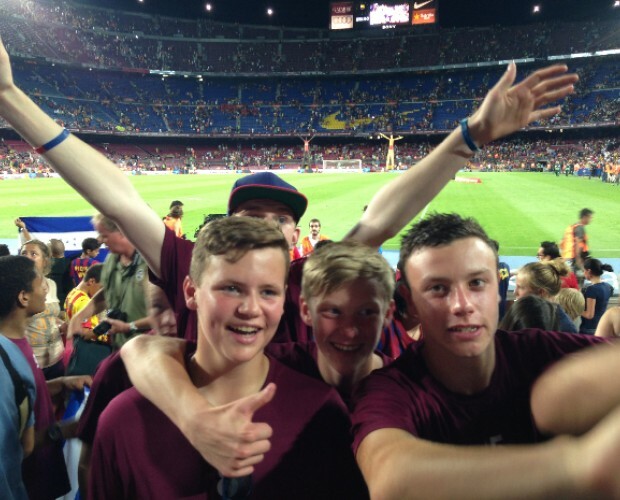 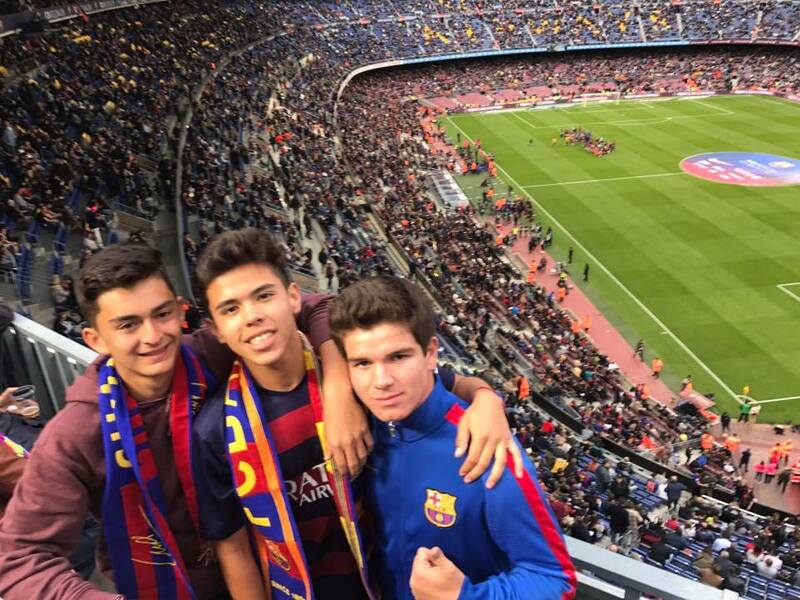 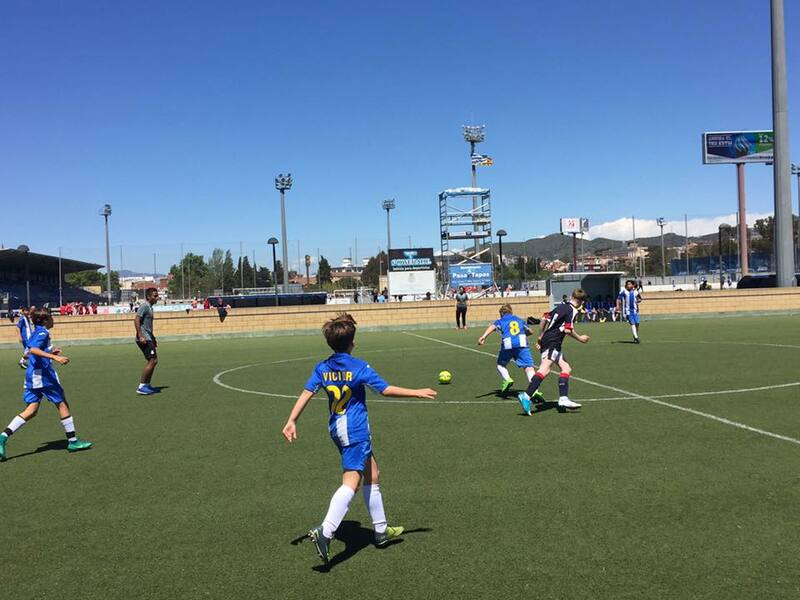 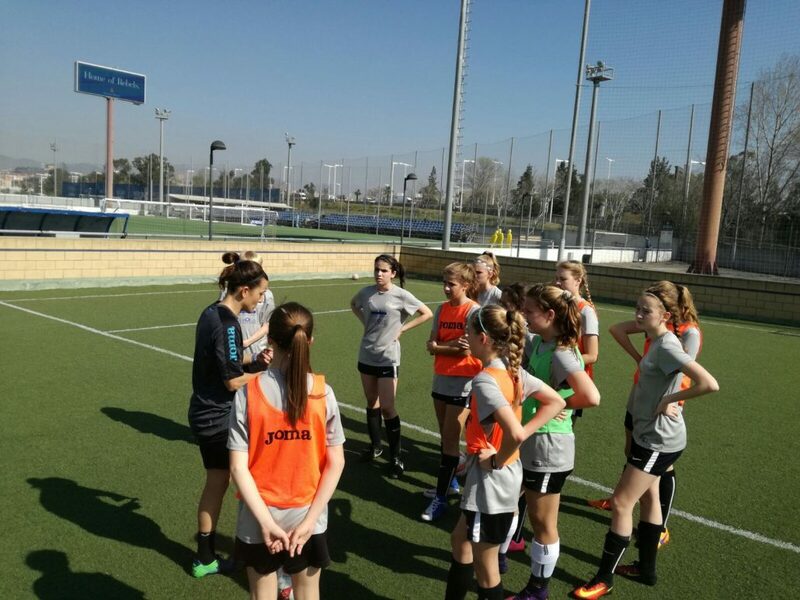 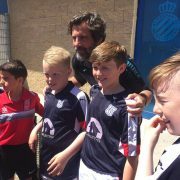 Throughout TakeBall and AMsportstours, the youth Scottish football team was able to train, make competitions and discover Barcelona, the Condal City, during five unforgettable days. 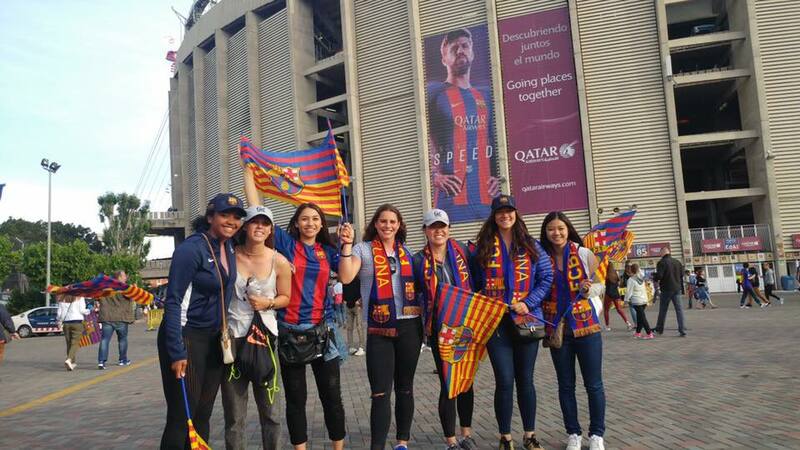 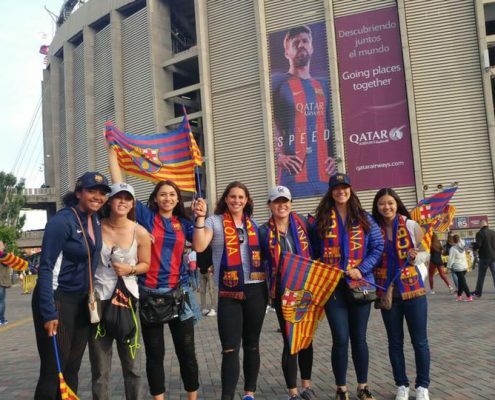 The expedition could enjoy the whole services received both Take Ball and AMsportstours work team, just in arriving to Barcelona, on August, the 2nd. 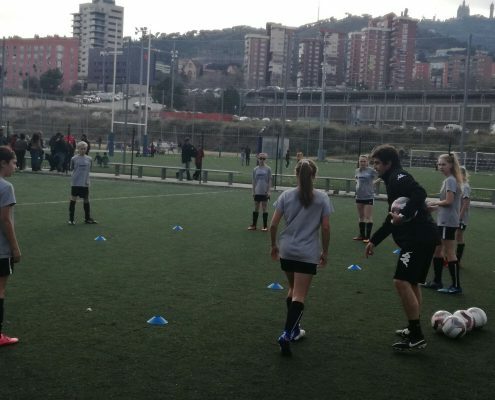 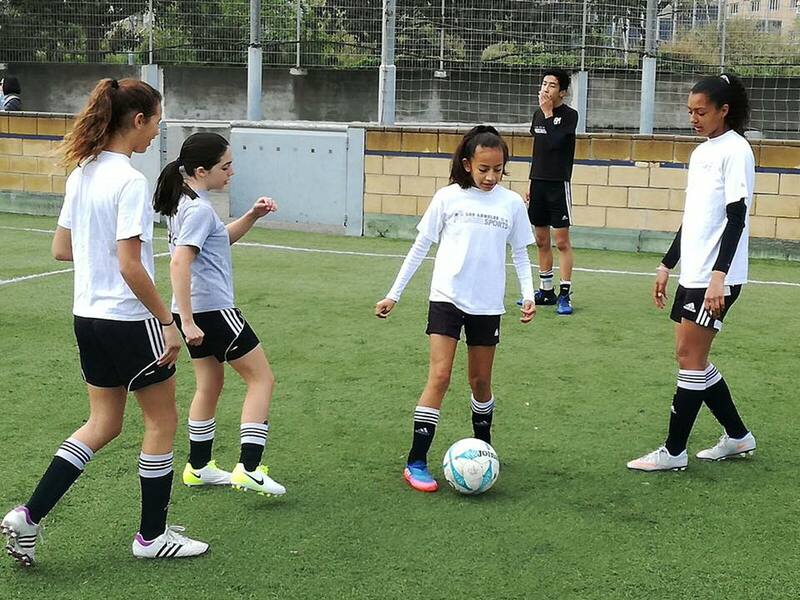 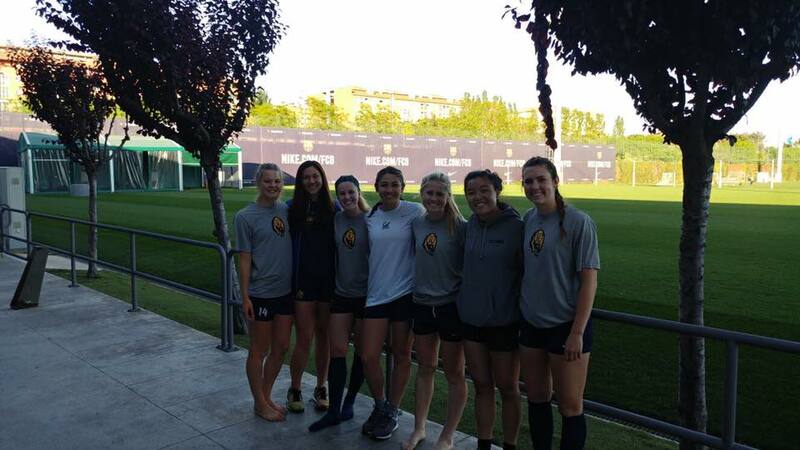 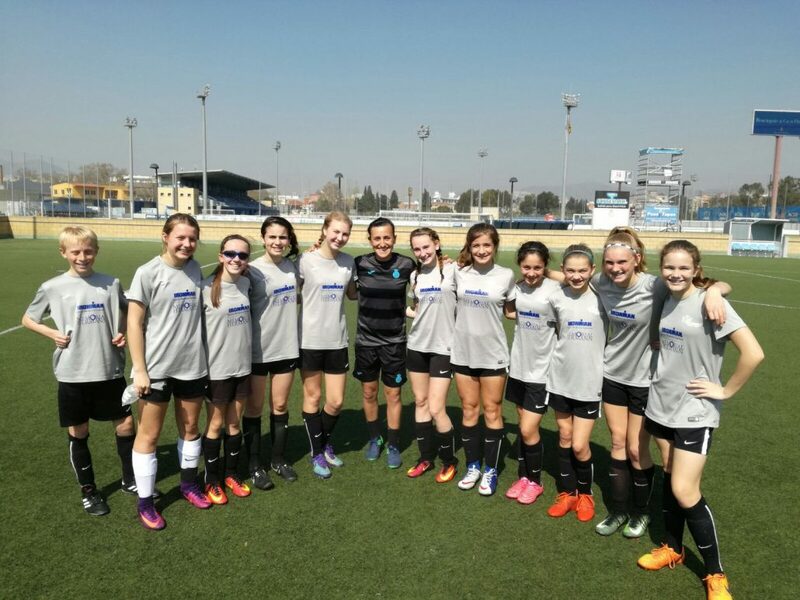 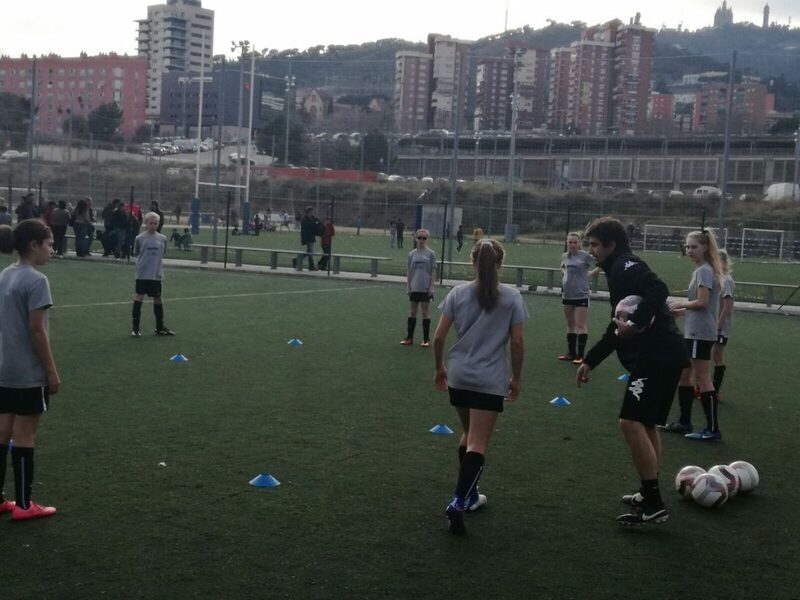 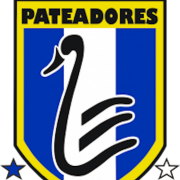 They spent their first day beginning with a double training session in excellent installations in artificial grass, located in The Teixonera, in Valle Hebron passage. 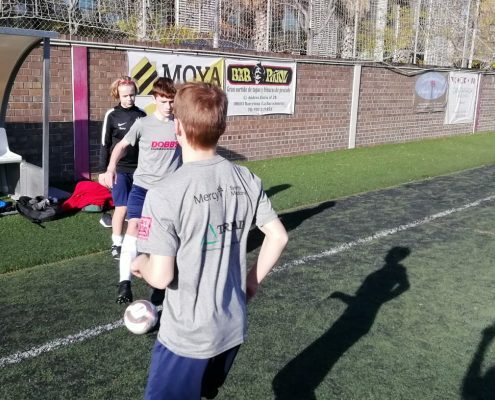 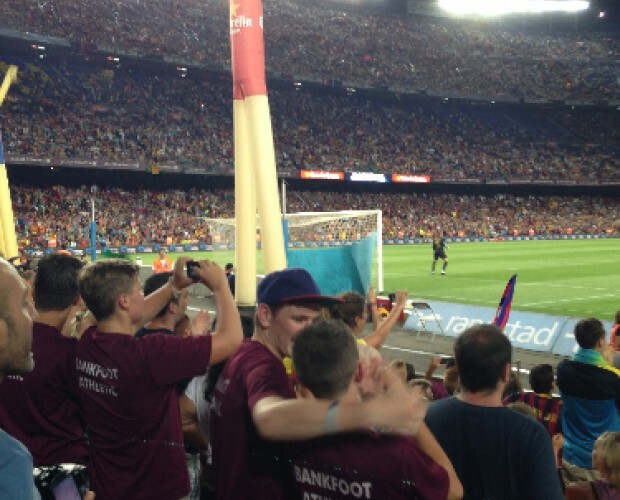 Technical and Tactical became the main items for those young promises football players belonging to Bankfood Athletic, that although suffering high temperatures were able to live through a magic night in Barcelona. 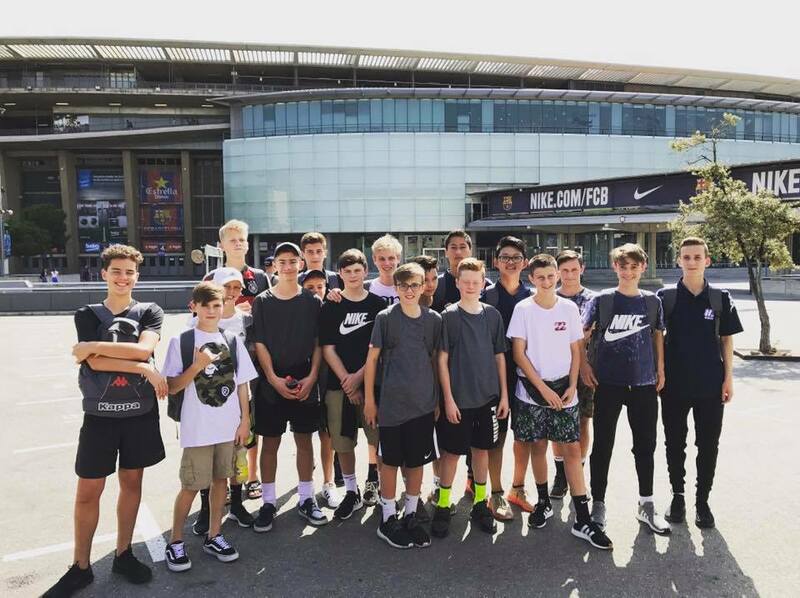 All group went to the historical Joan Gamper Trophy, celebrated in Camp Nou, where took place 2013-2014 FC Barcelona presentation. 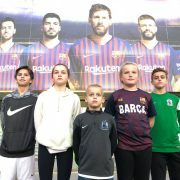 They lived a great victory, 8-0, against The Santos brasileño, and could walk through grass besides being present in Messi’s and Neymar’s debut, both present in Camp Nou at that moment, and finally make a tour all around museum of FC Barcelona. 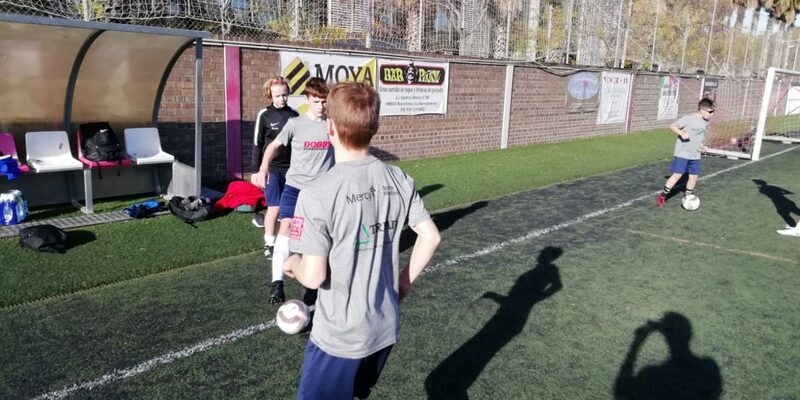 That fantastic adventure follows on the weekend for the Scottish group, that were able to compete with a combined local team in a very equal and amazing meeting, as final result was 4-3. 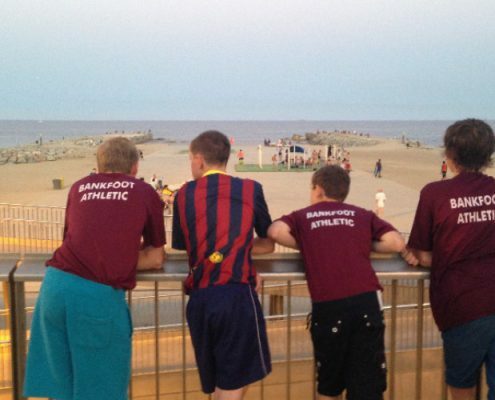 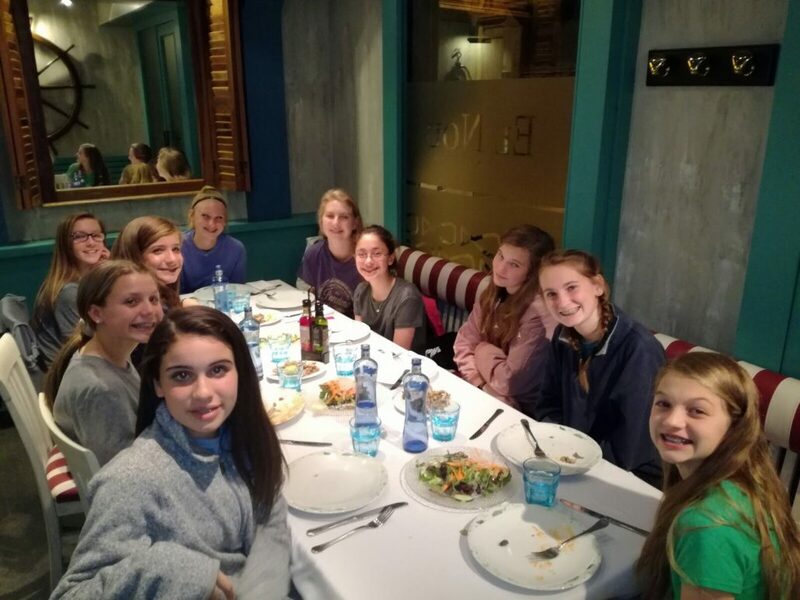 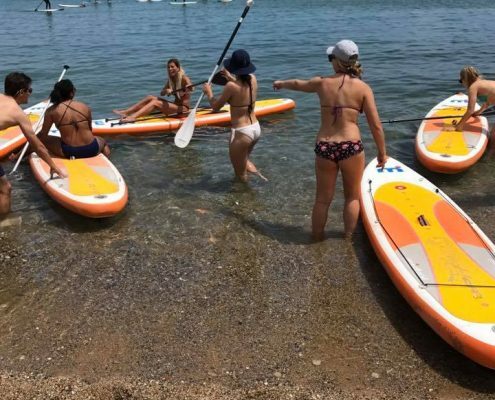 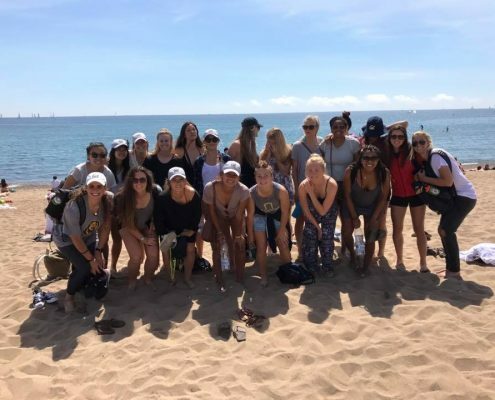 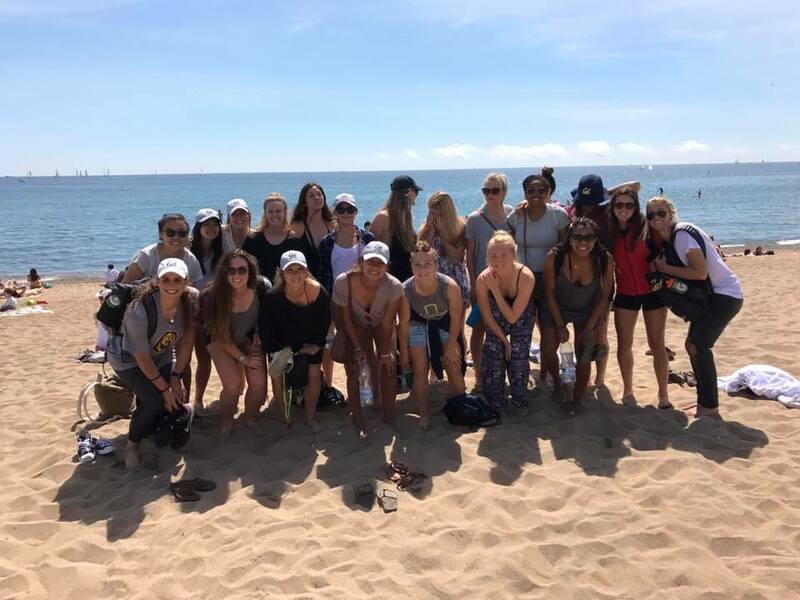 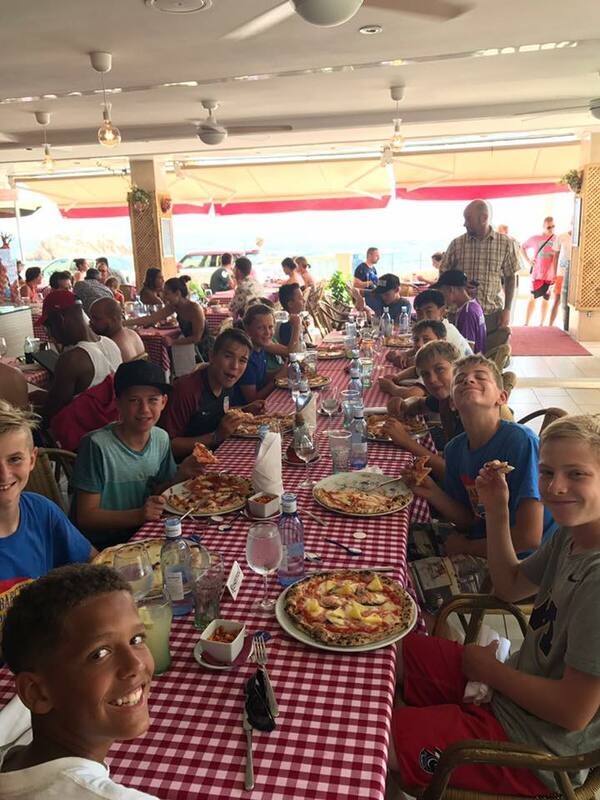 The testimonial defeat by a shock, decided in the last five minutes, didn’t avoid that young players of Bankfood had a great time in Barceloneta beach and in local gastronomy. 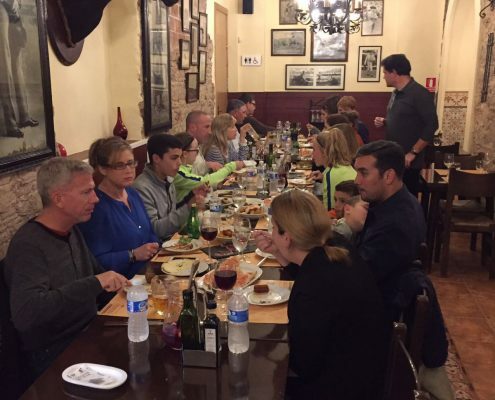 The well-known tapas made the Scottish group enjoy, that ended their journey around Barcelona with an excellent flavour of mouth, quite literally, and so that they came back home thinking about repeating their experience in Barcelona.